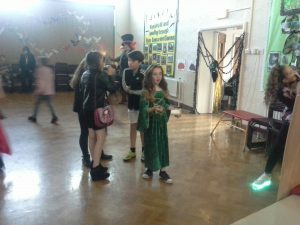 PTA – Ysgol Penmorfa, Prestatyn Buy School Uniform Online! 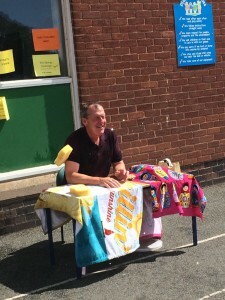 Chair – Mrs Christie Sherry: to oversee all events and coordinate active members to ensure the smooth running of the PTA and all its activities and events. 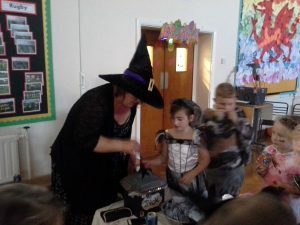 Treasurer – Mrs Amy Mustoe: accountable for maintaining accurate accounts, prepare annually for external audit, manage Lottery licensing, Charity status and all other financial matters required of a PTA. 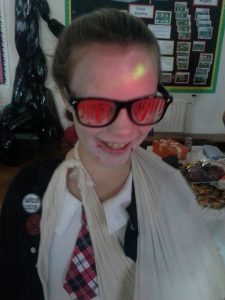 Secretary – Miss Michaela Hill: to take minutes of meetings, deal with communications within the community, arrange external advertisement including fund raising appeals and instruct admin on requirements concerning whole school communication and website content. Admin – Mrs Jill Lloyd: to produce whole school communication including text messages and to update the PTA website page with pictures and information provided by the Secretary and Chair. 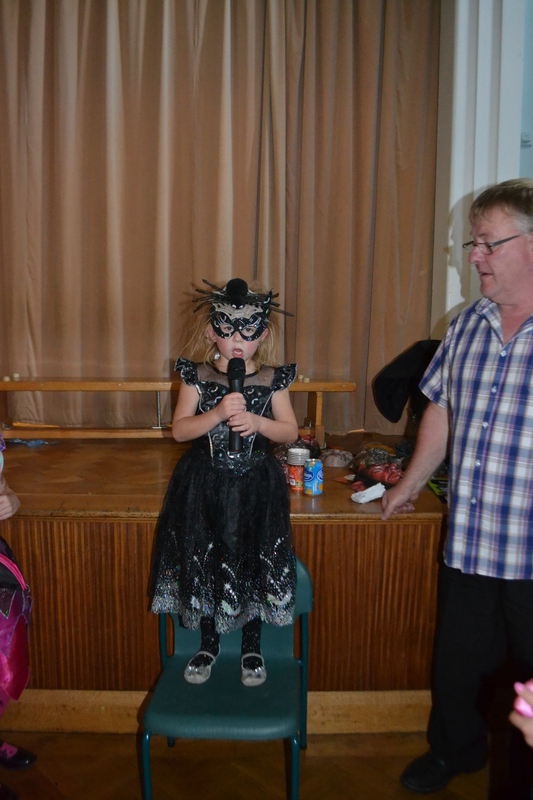 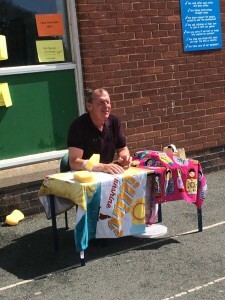 The Head Teacher – will continue to attend PTA meetings and provide advice and guidance where necessary. 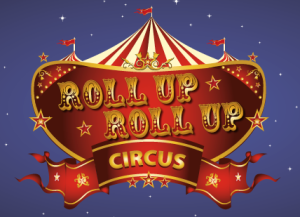 £5.00 per ticket for each show. 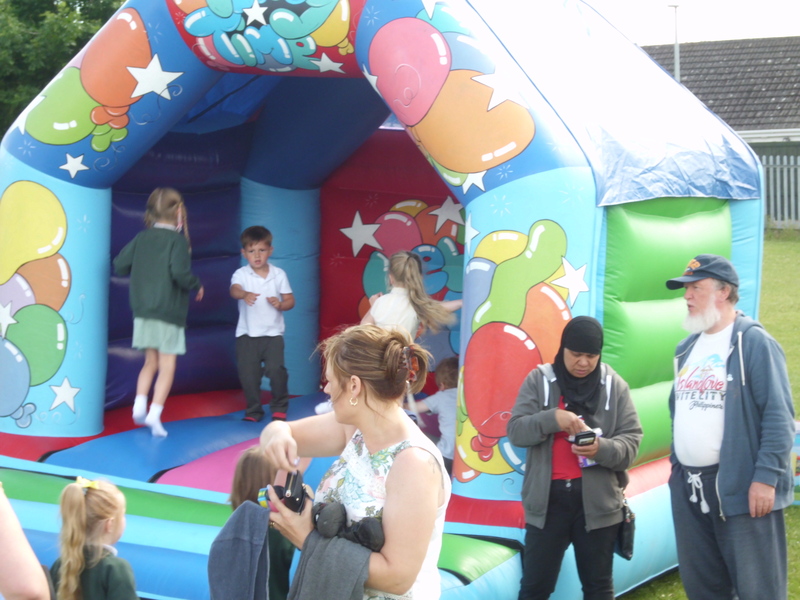 Also, our Summer Fair stalls will be out on the field so come along for a drink, enjoy the Bouncy Castles or just have a browse. This is the first time we have held our Summer Fair on a Saturday and we hope it will be a great success. 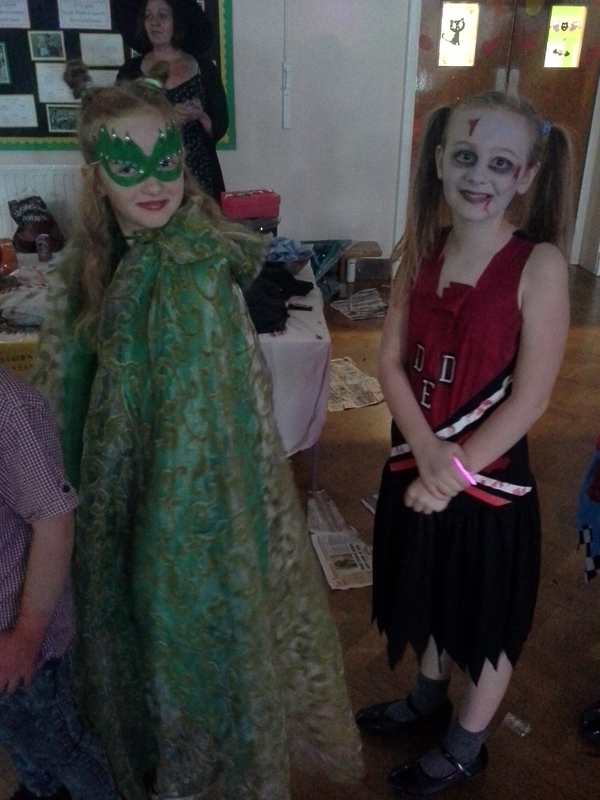 A huge thank you for your support during our Macmillan Coffee morning. Thank you to everyone who has supported the PTA this year. We had a great end to the Summer Term. 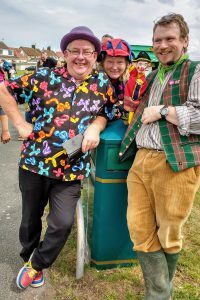 We took part in the Prestatyn Carnival Parade today and enjoyed a great sunny afternoon. We look forward to another busy year starting with a welcome meeting early in September. 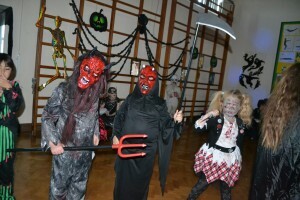 We will confirm the dates as soon as we get back to school. 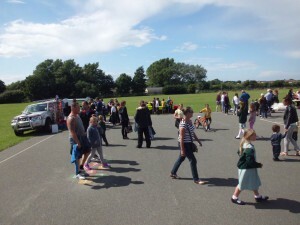 Another busy year for us with a very successful Summer Fair, despite the weather, raising a brilliant £750. This will help towards the recent purchase of books for Foundation Phase. 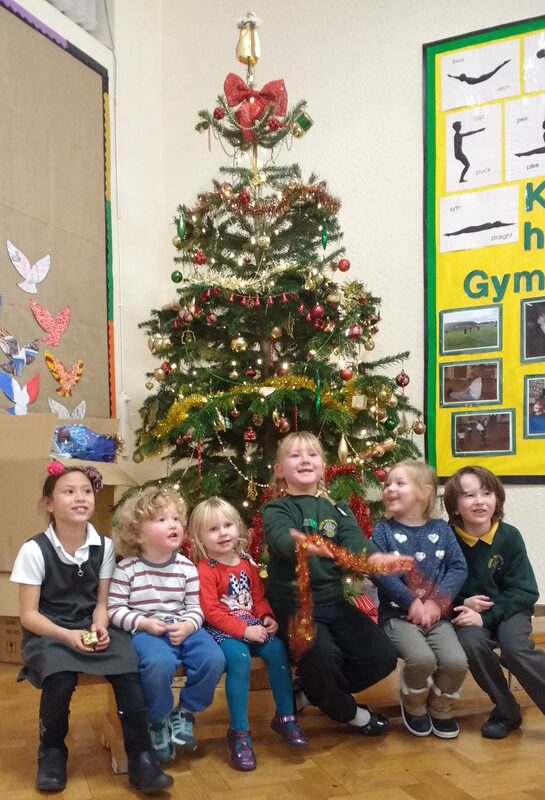 We would like to say “Happy New Year” to all of our helpers, parents and pupils although the Christmas break seems such a long time ago now! 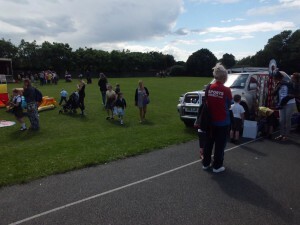 We are currently busy organising events for the coming year. 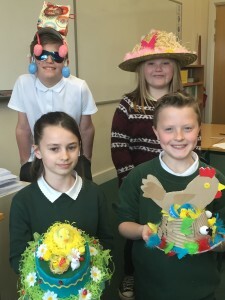 The Craft Club each Wednesday is proving very popular and we will use this time to also plan and prepare for the events coming up. 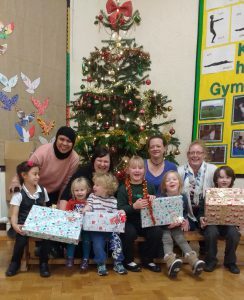 More than £700 was made at the Christmas Fair so a huge thank you to everyone who came and joined in with this very important fund raising event. 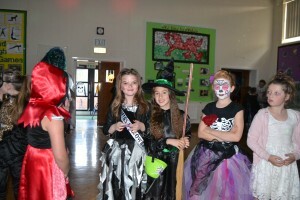 The PTA is proud of the enormous effort made by pupils, teachers and parents of Ysgol Penmorfa. 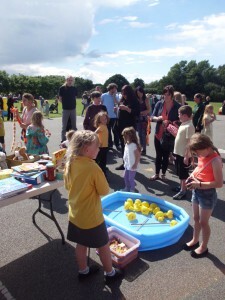 Extra thanks go to extended family embers who donated their time and expertise to make this event memorable. 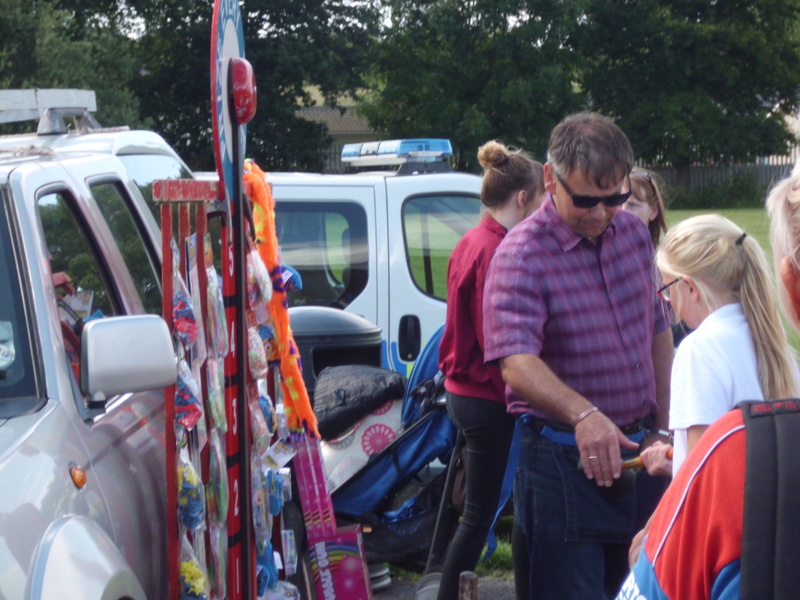 And of course, a big thank you to the Jolly Man himself for making a special visit to our fair with his sacks of goodies! 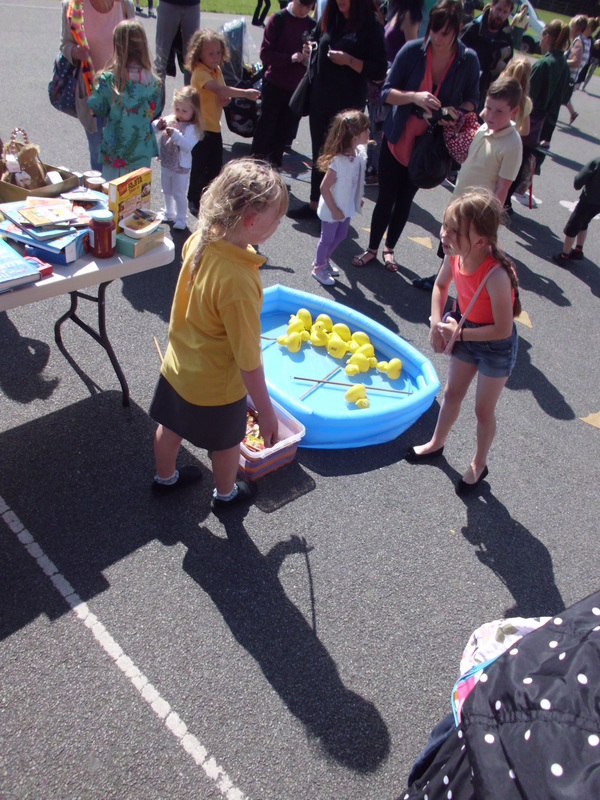 The Chocolate Tombola (Year 1), Toiletries (Year 2) and the Teddy Tombola (Year 6) virtually sold out, as did the Water or Wine game run by Year 4. 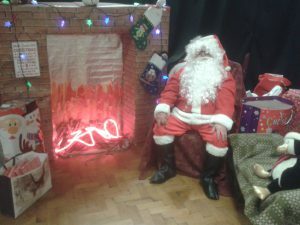 With Santa in the Grotto, Cotton Candy and Cakes in the canteen, various stalls and vendors and our ever popular raffle, we raised over £700.00. 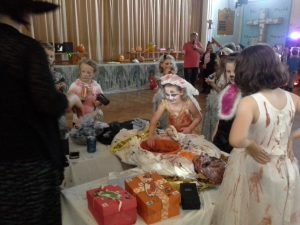 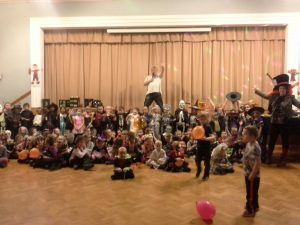 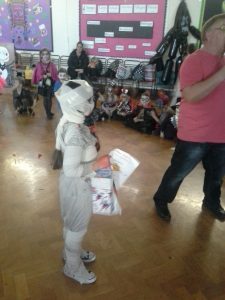 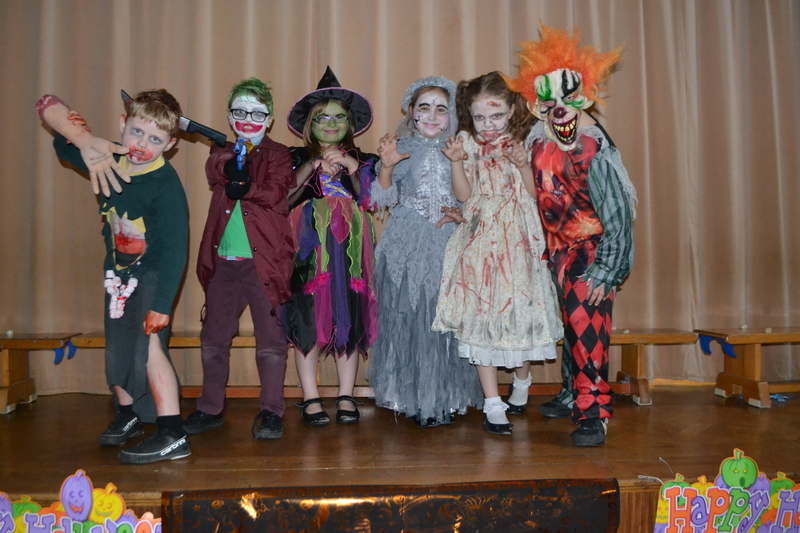 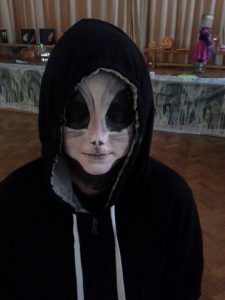 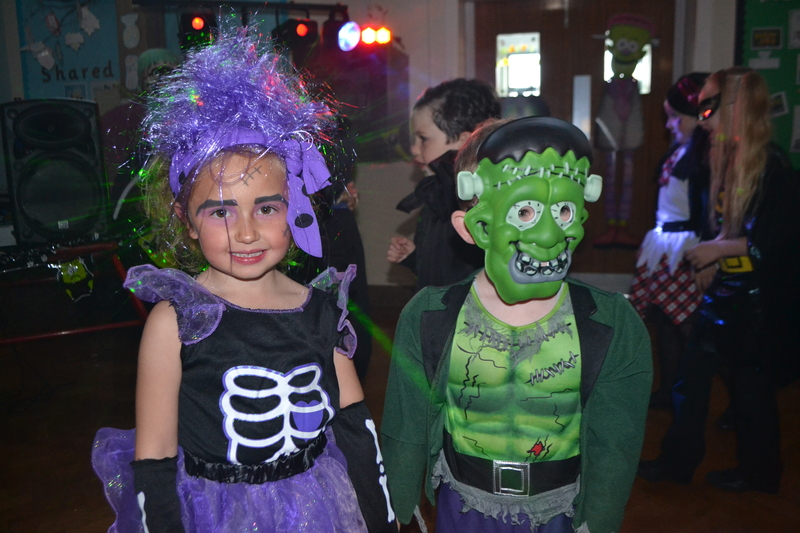 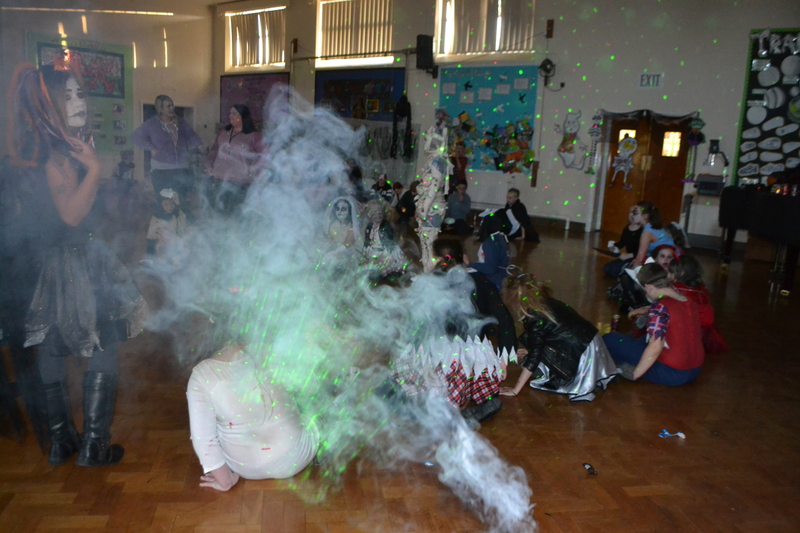 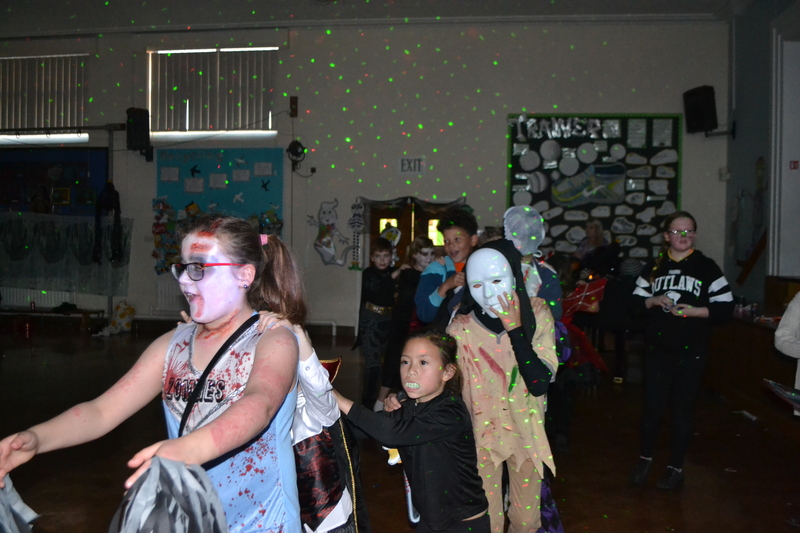 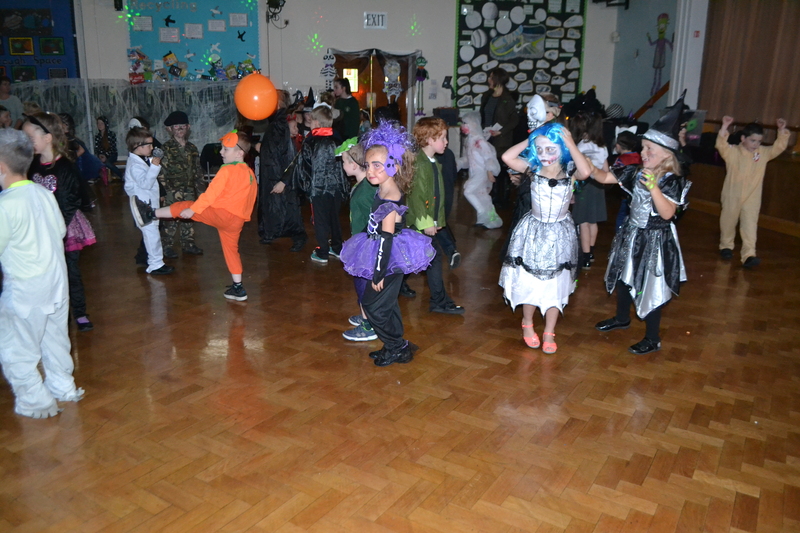 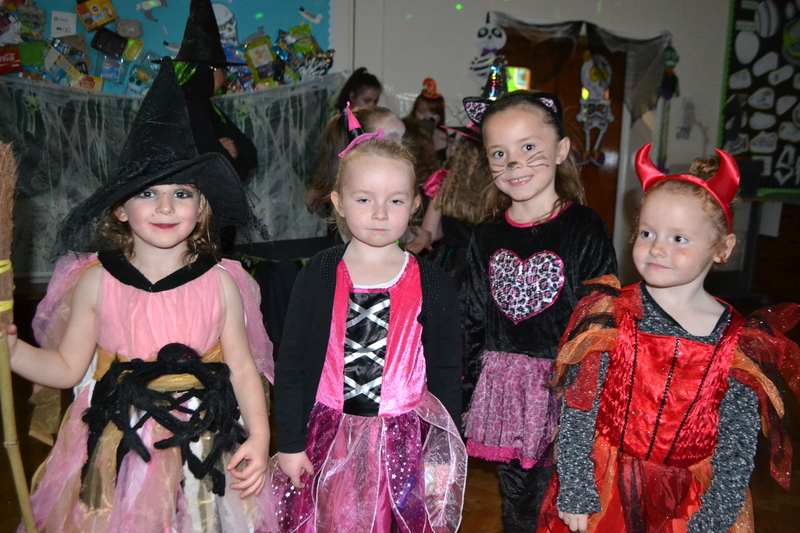 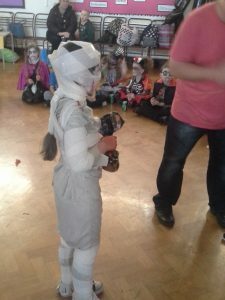 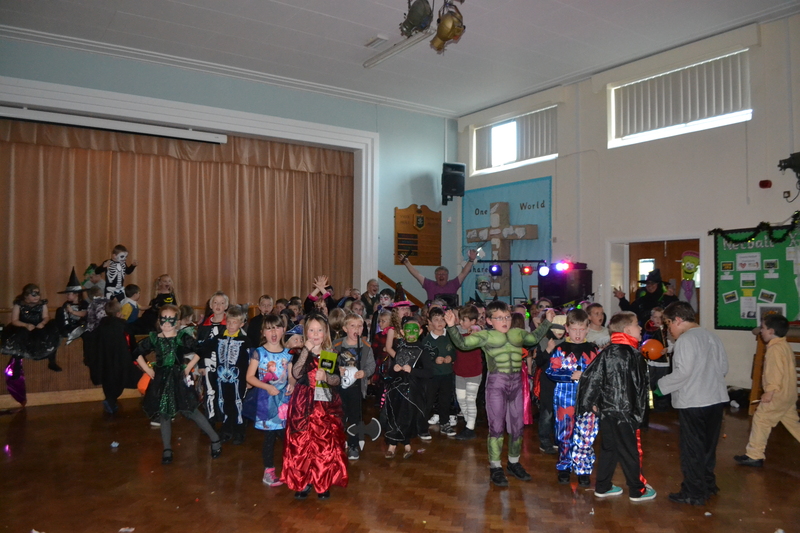 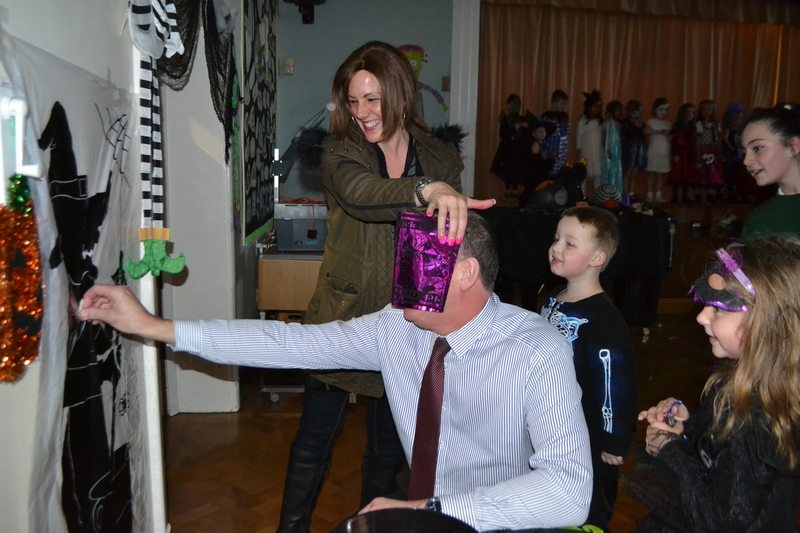 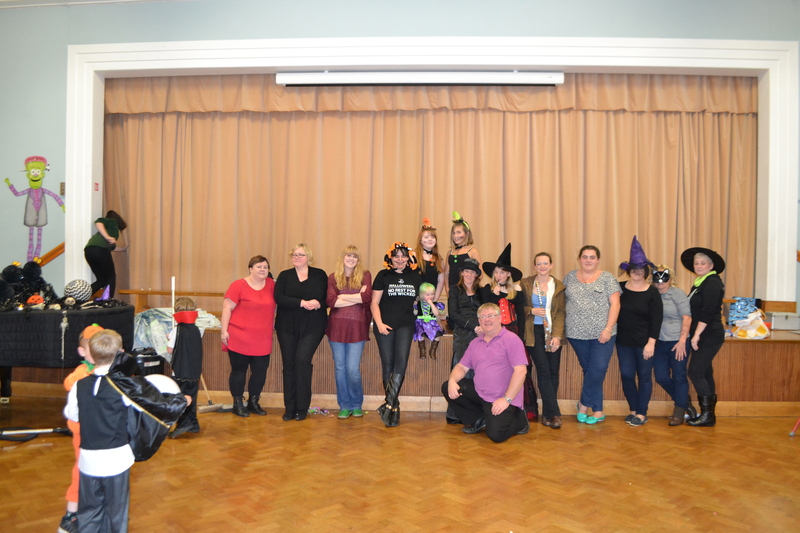 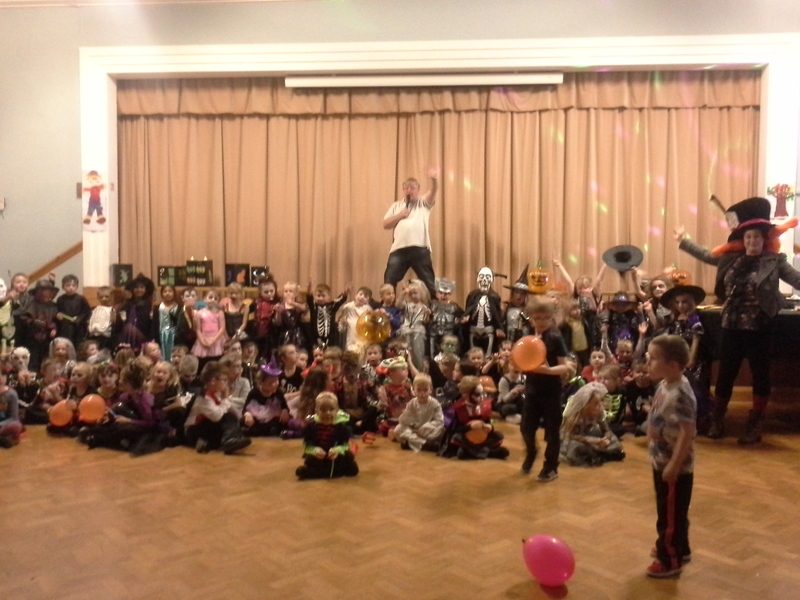 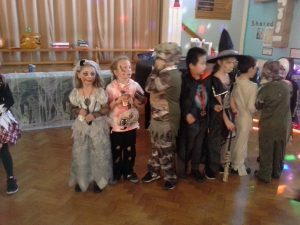 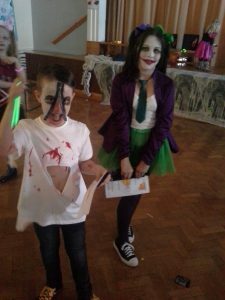 Ysgol Penmorfa PTA would like to thank the staff, parents and pupils who helped to make this year’s Pumpkin Party and Spooky Discos the best yet! “Dead Fred’s Dastardly Dip” proved to be very popular. 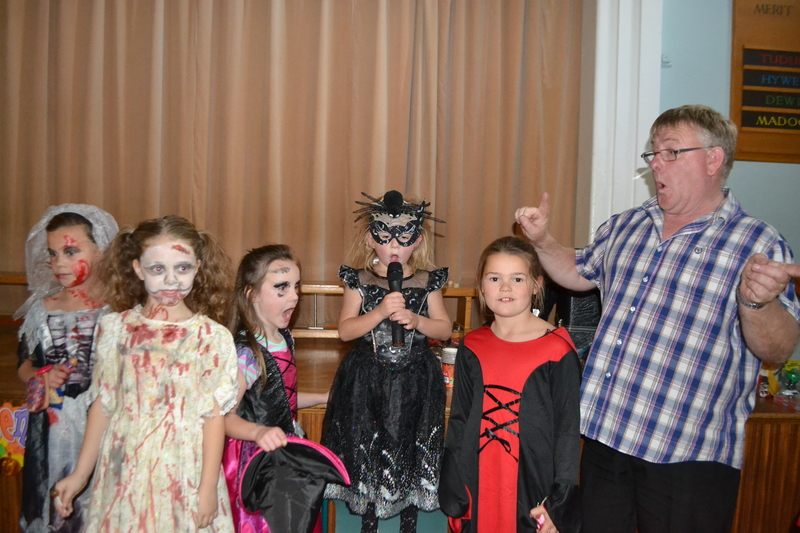 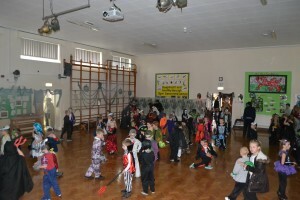 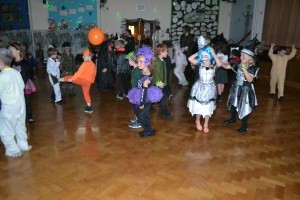 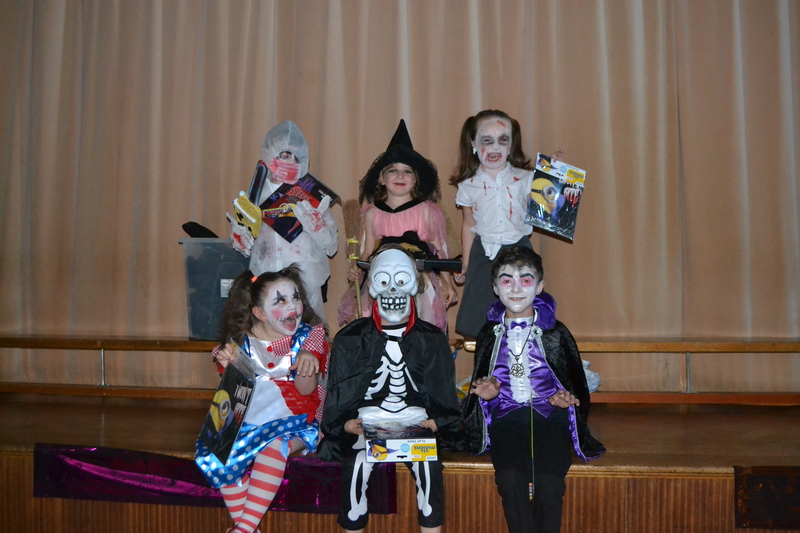 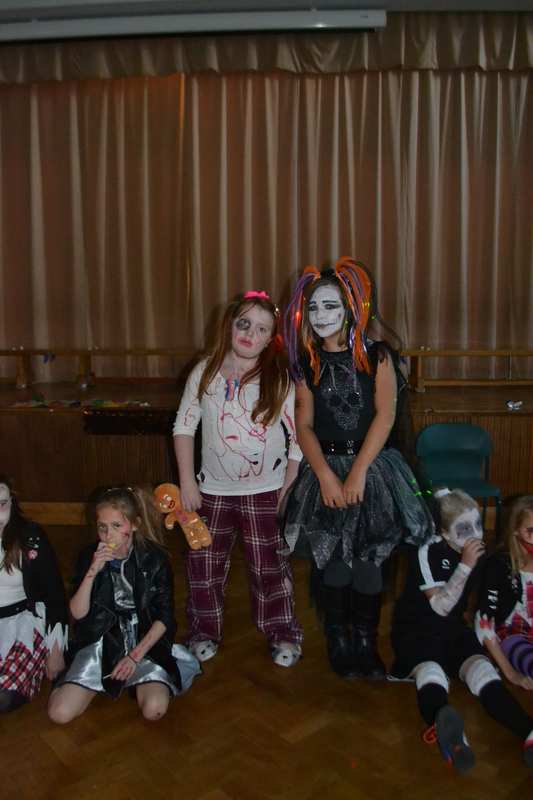 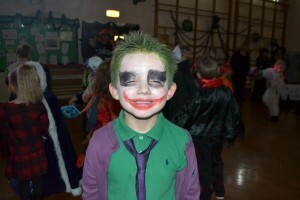 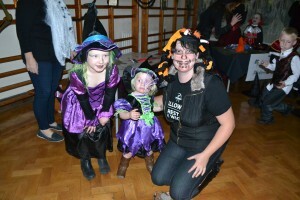 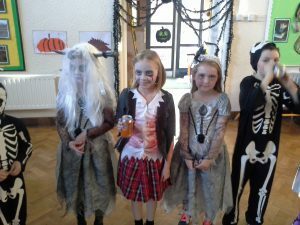 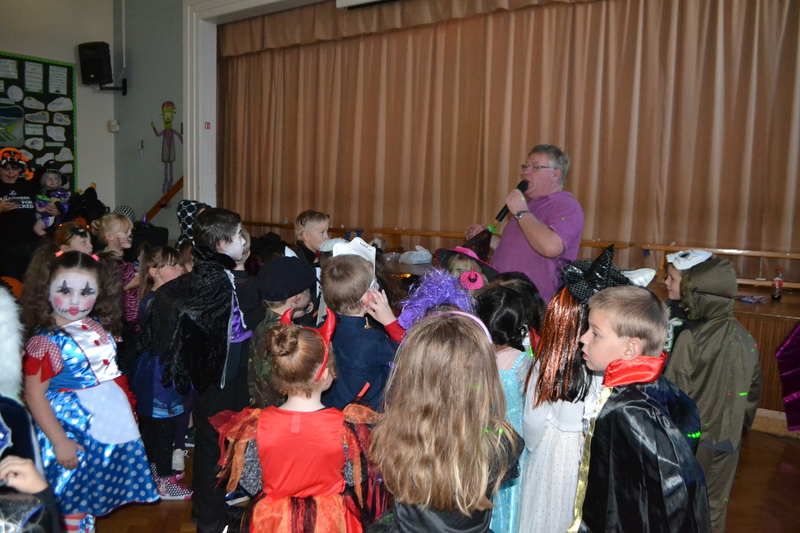 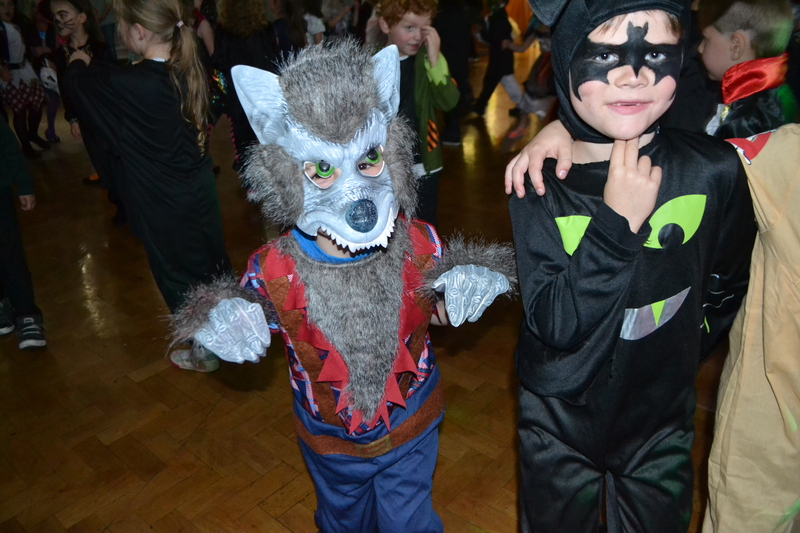 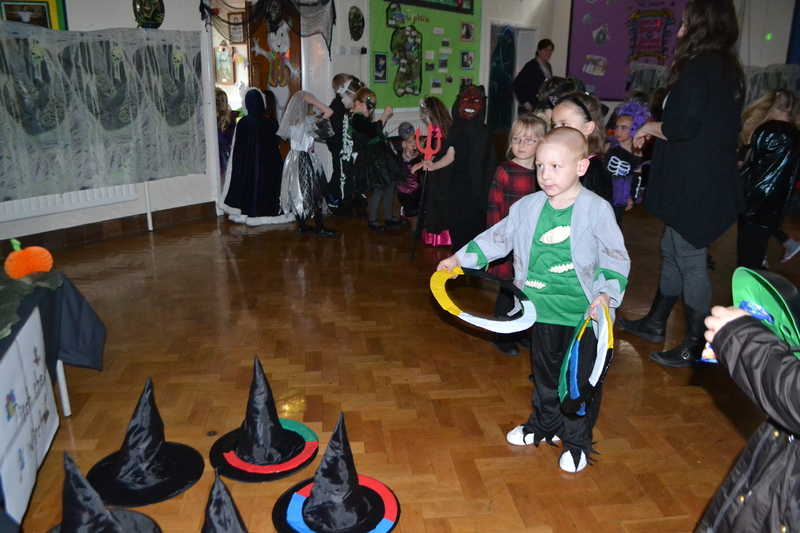 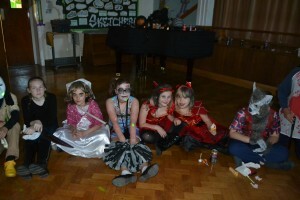 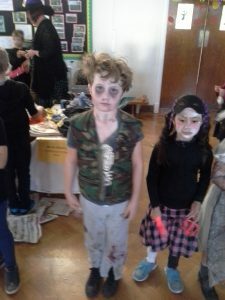 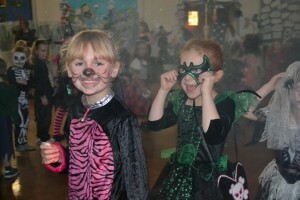 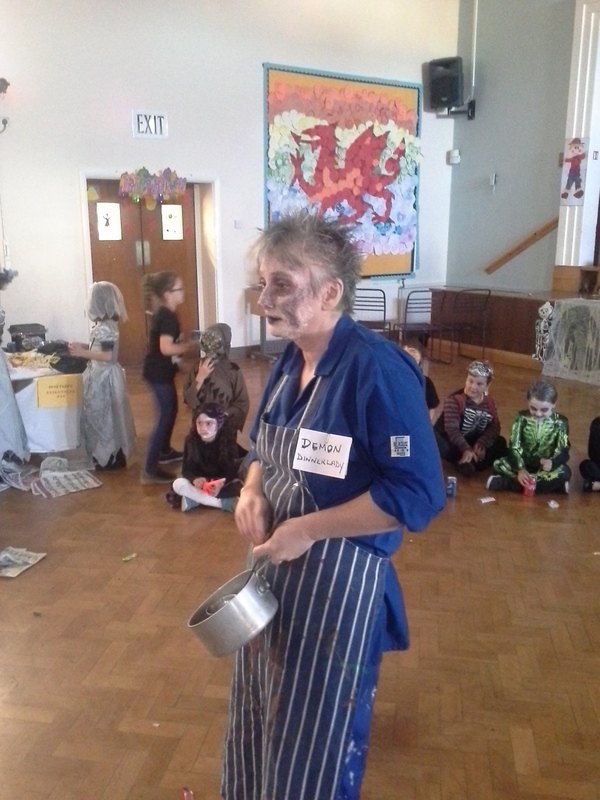 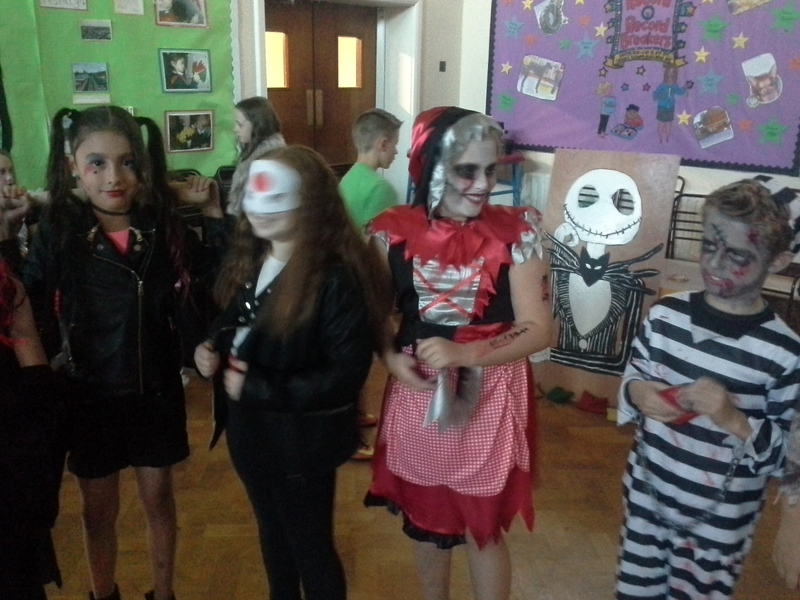 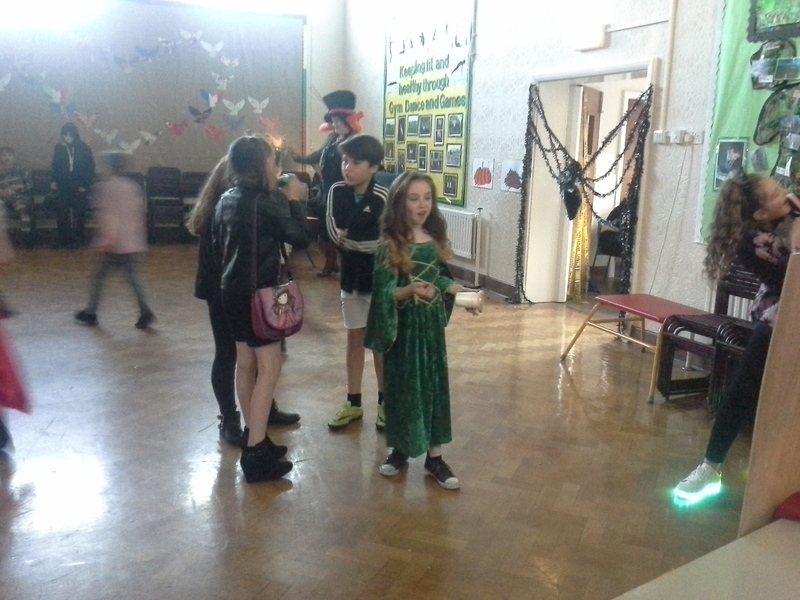 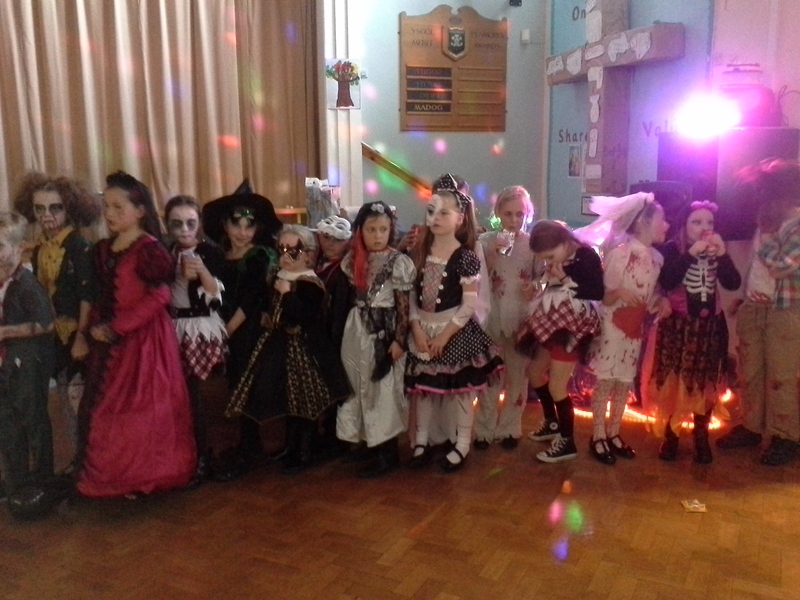 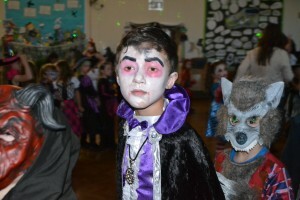 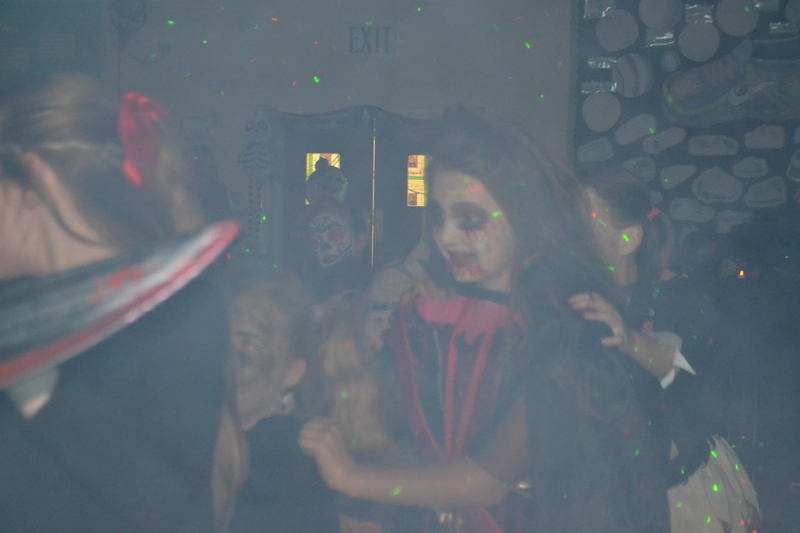 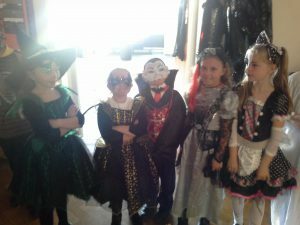 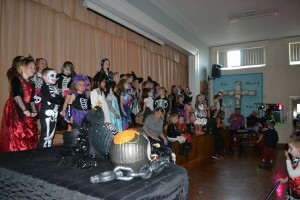 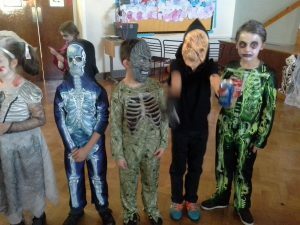 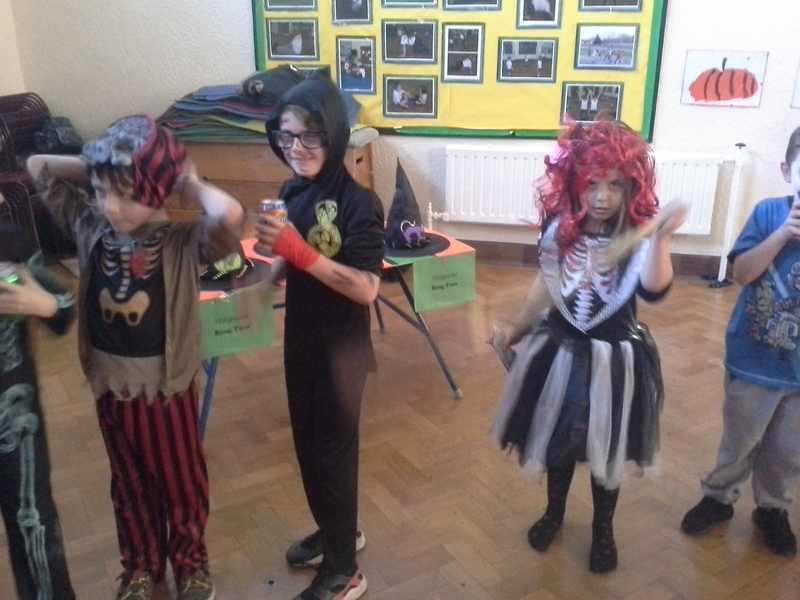 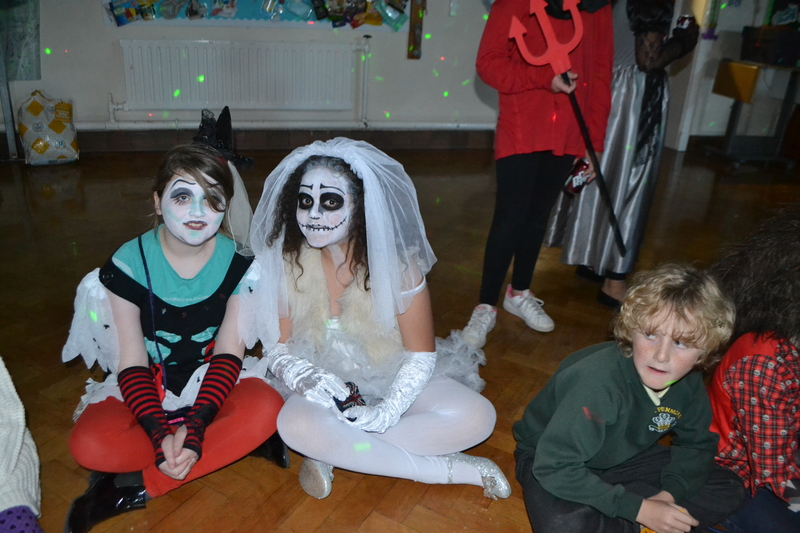 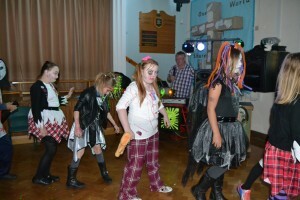 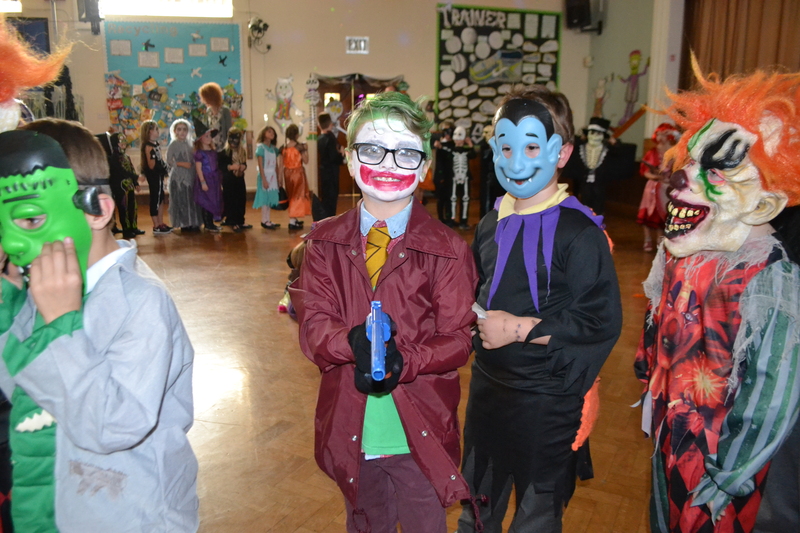 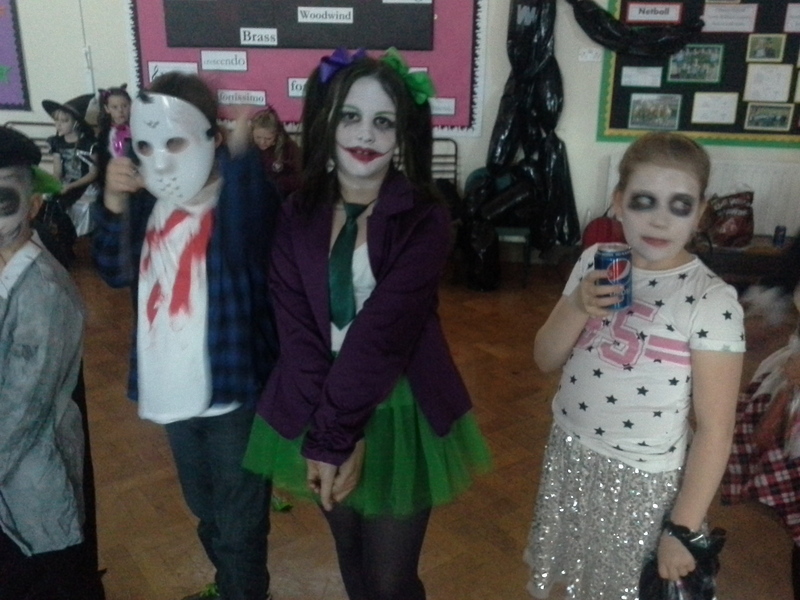 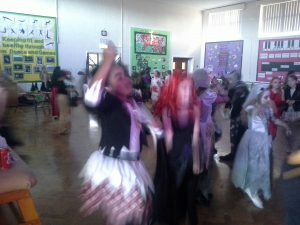 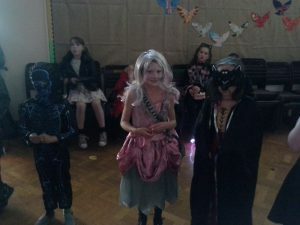 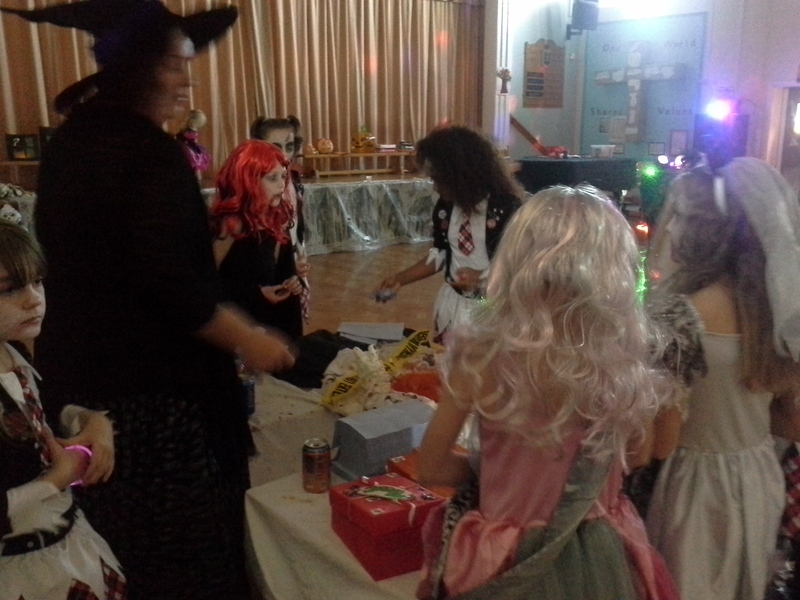 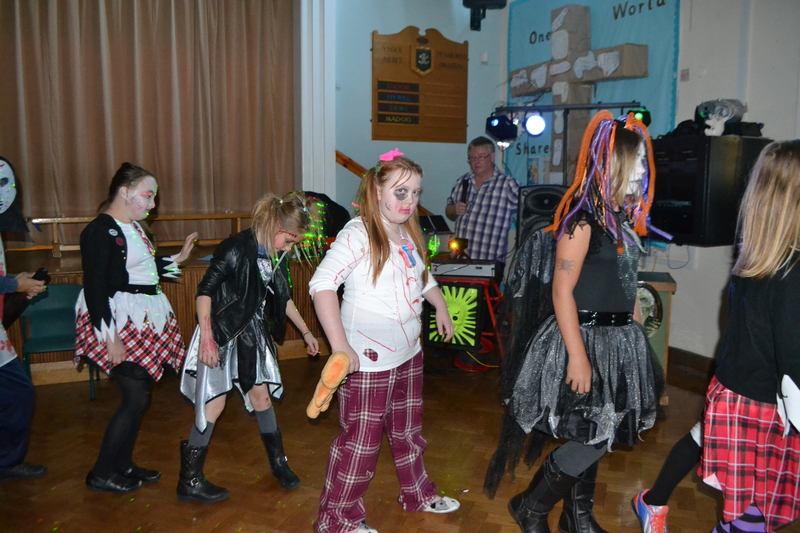 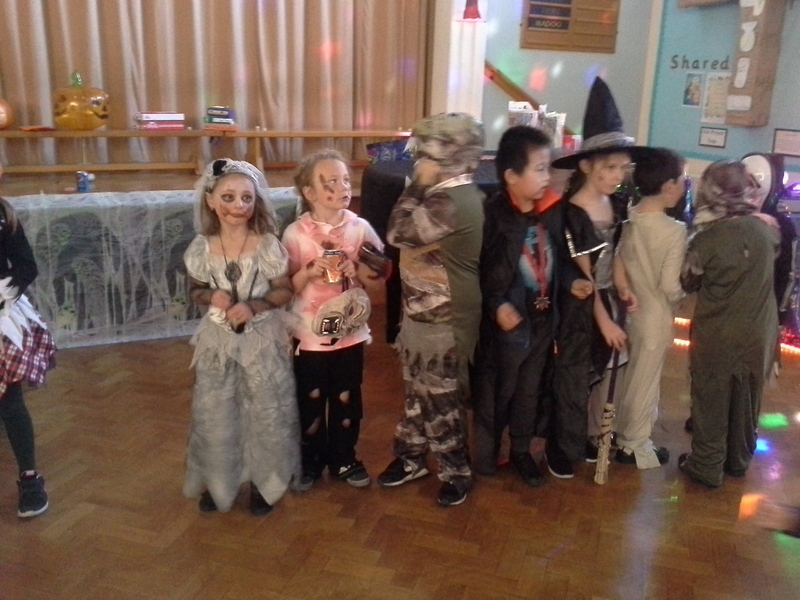 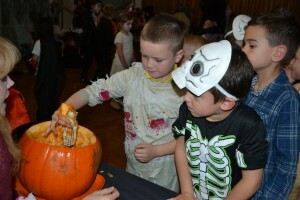 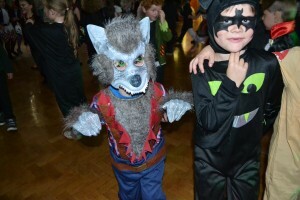 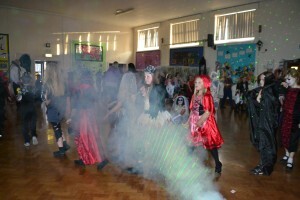 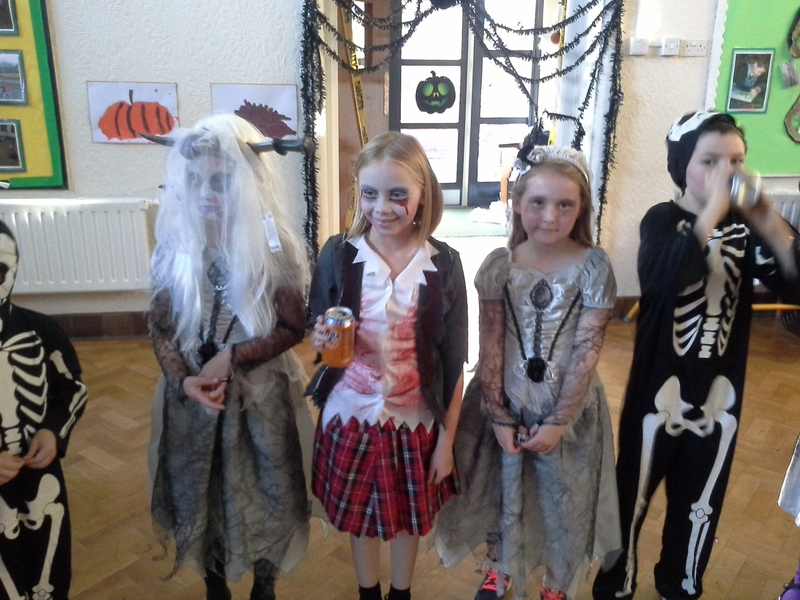 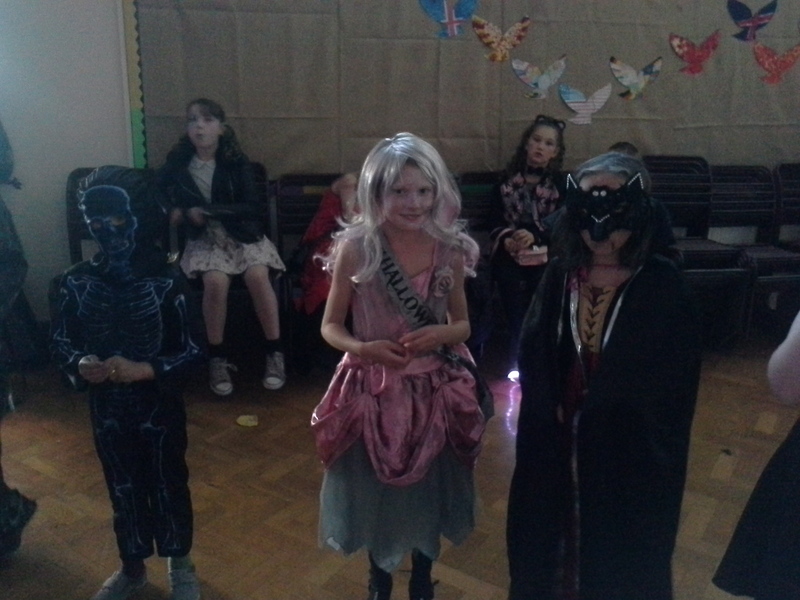 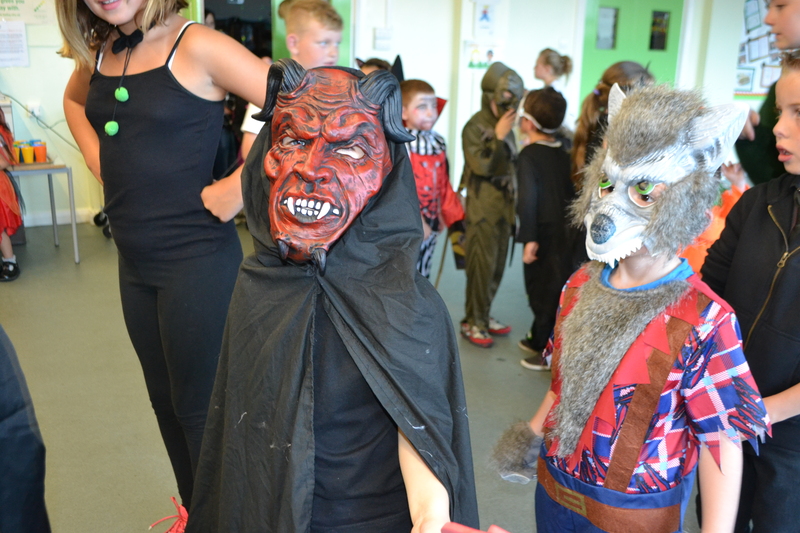 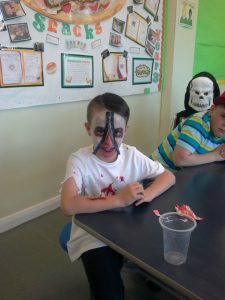 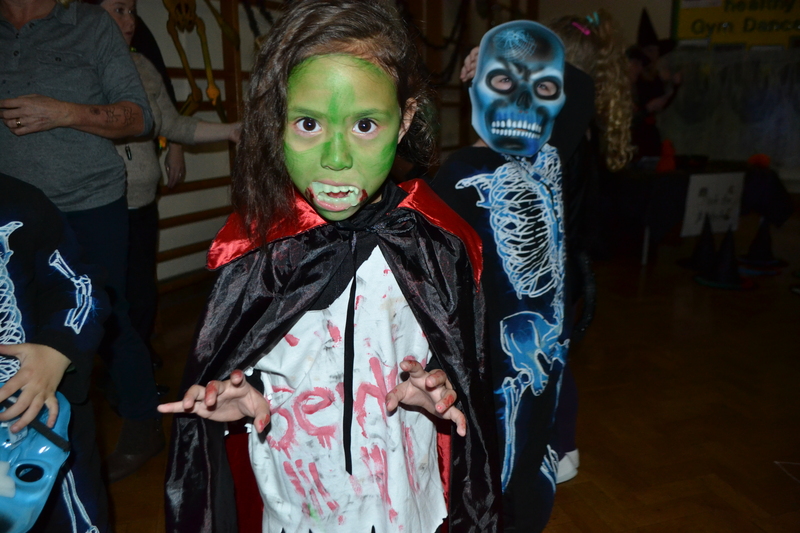 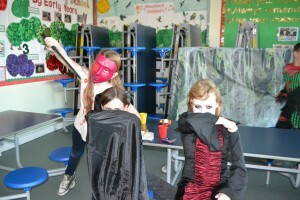 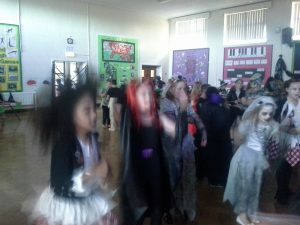 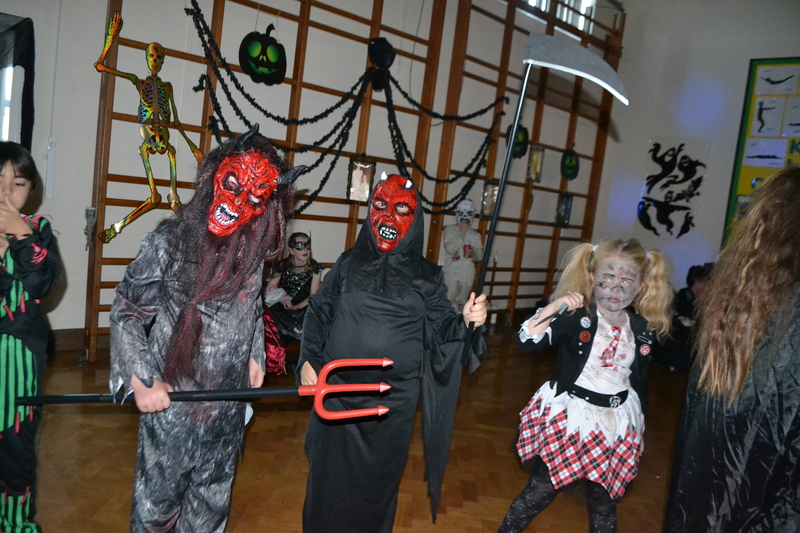 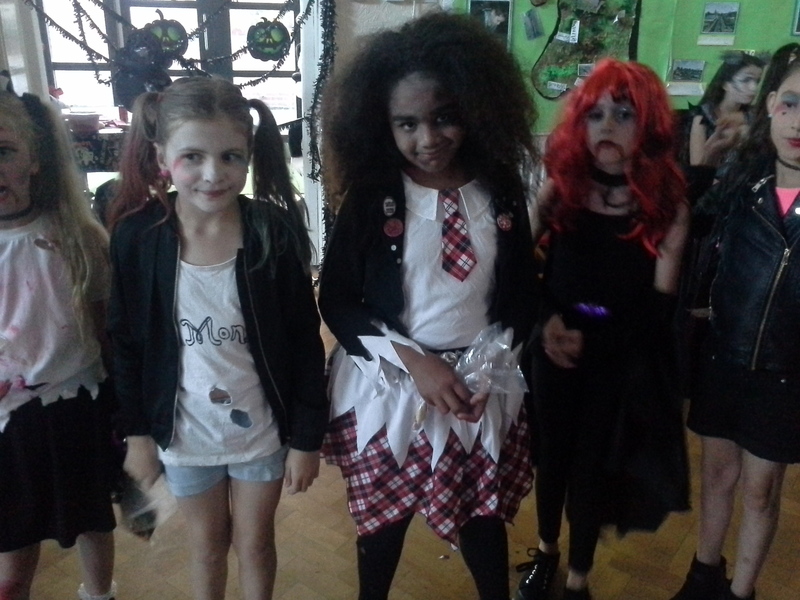 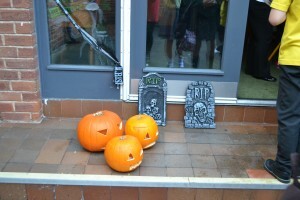 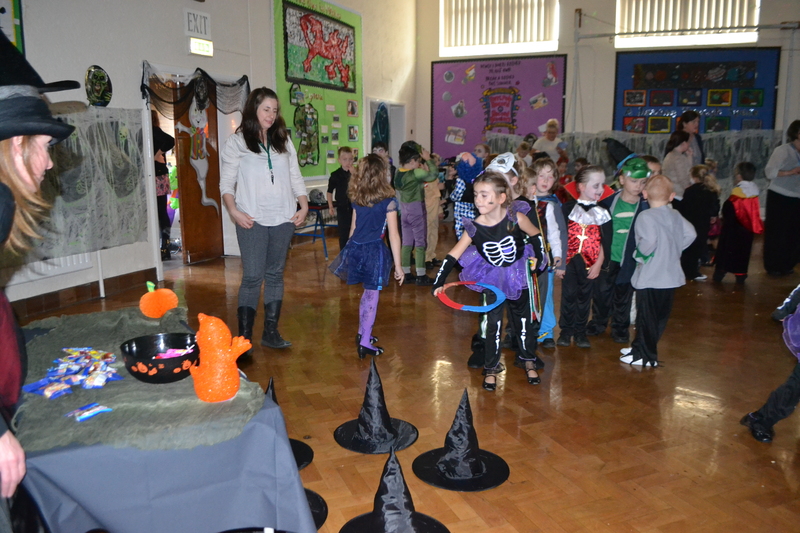 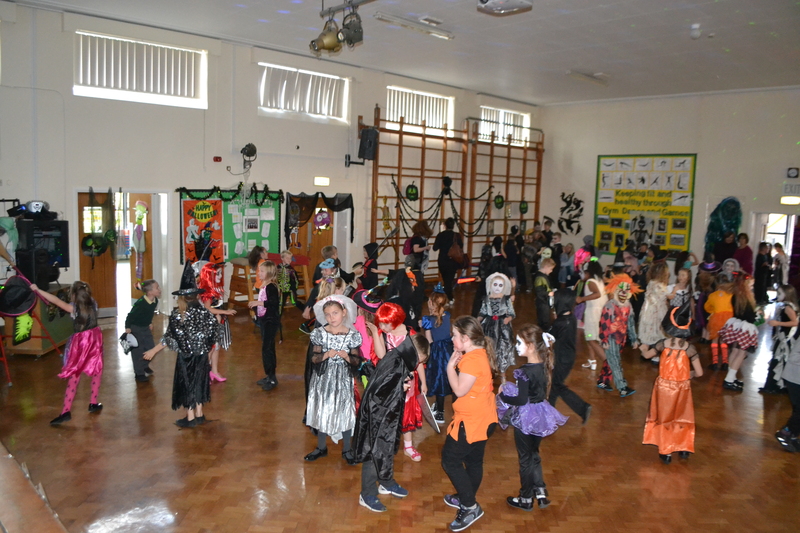 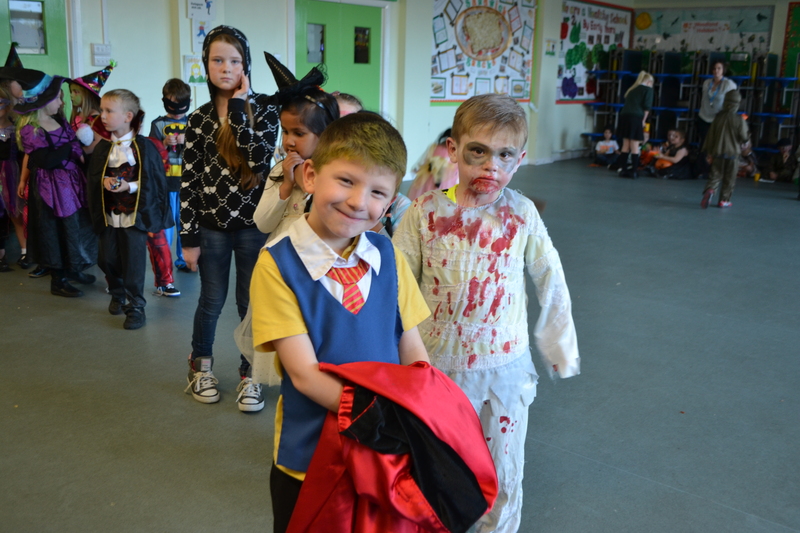 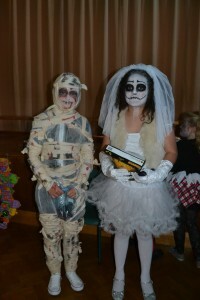 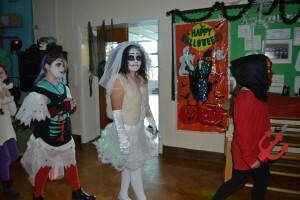 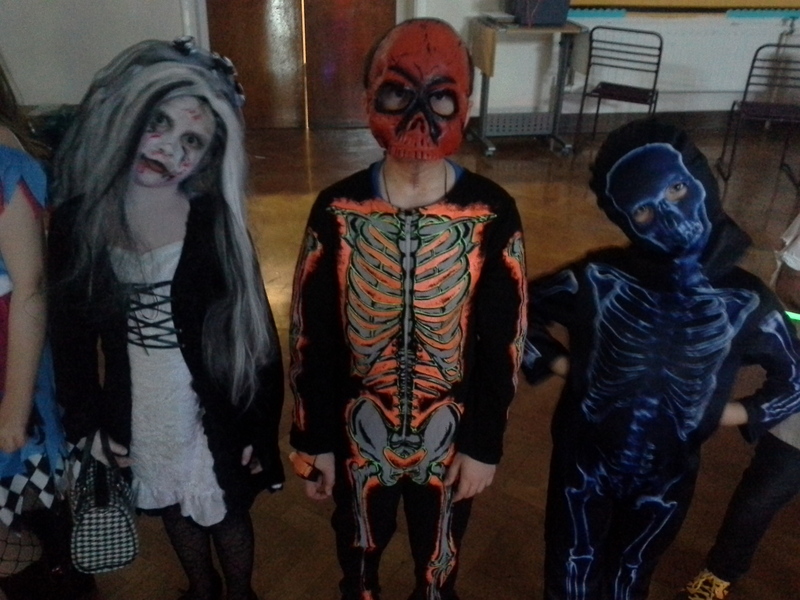 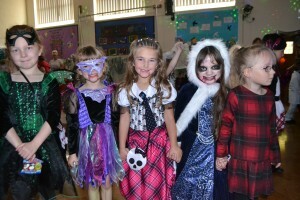 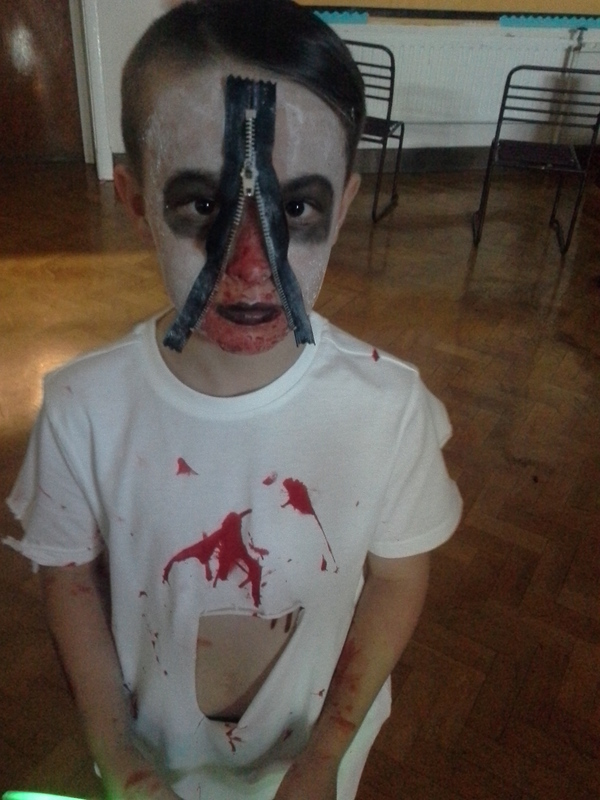 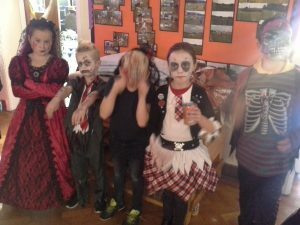 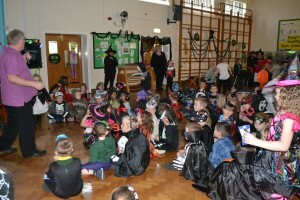 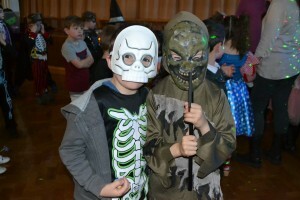 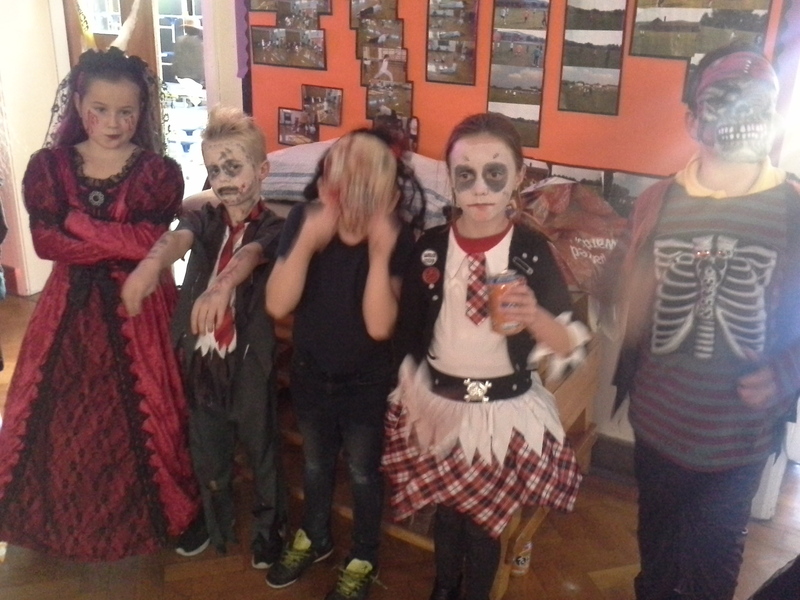 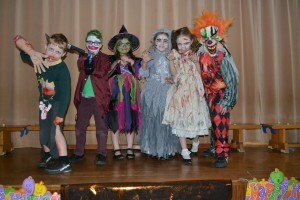 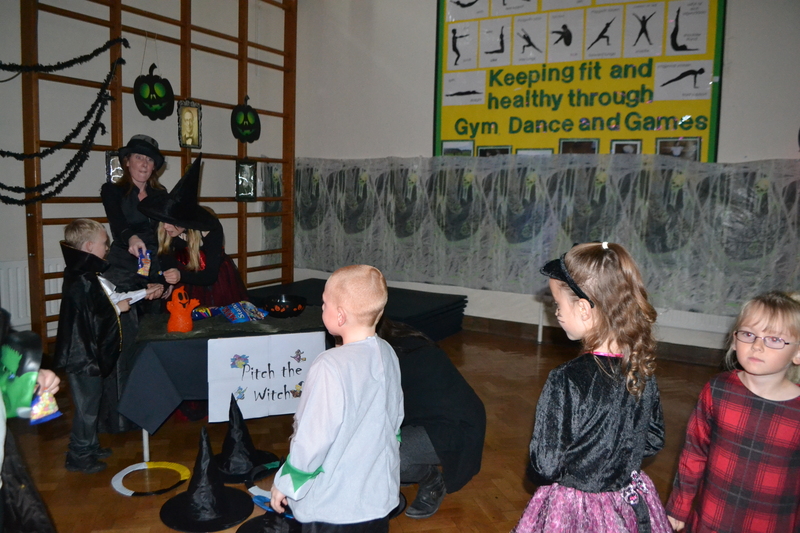 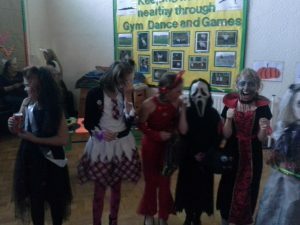 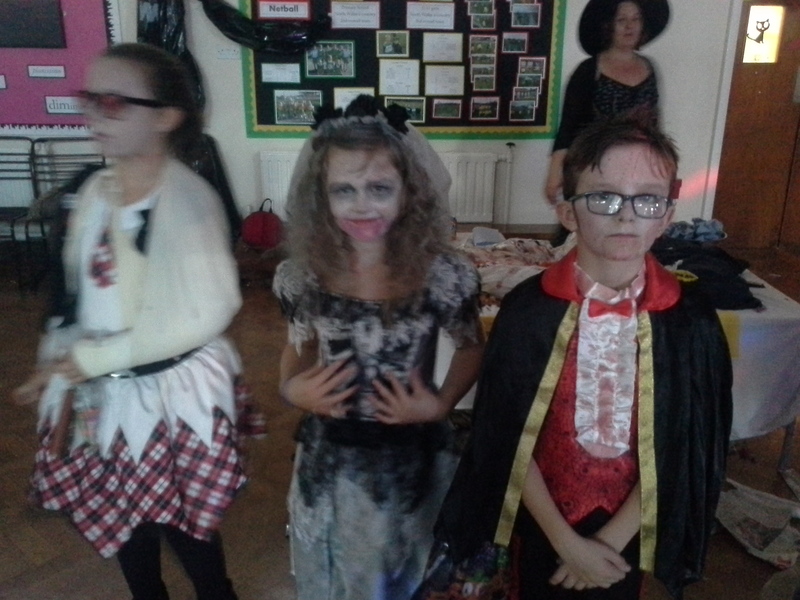 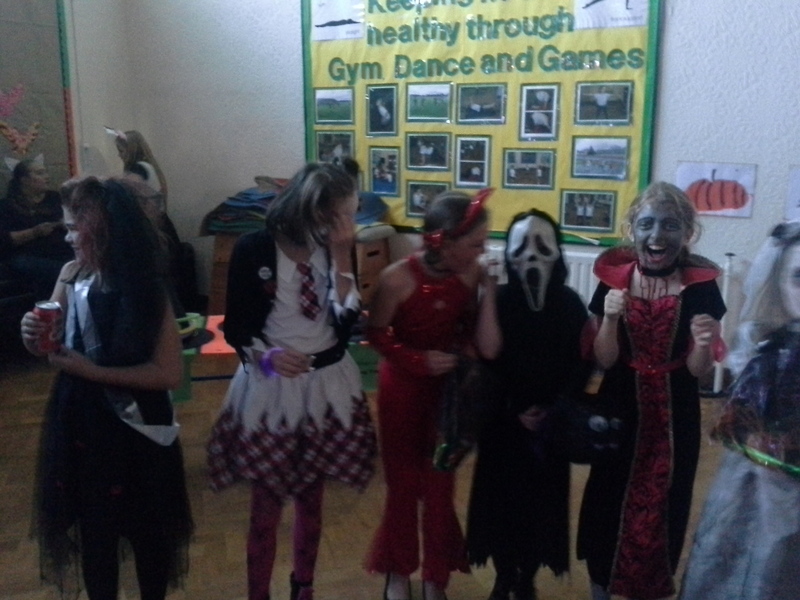 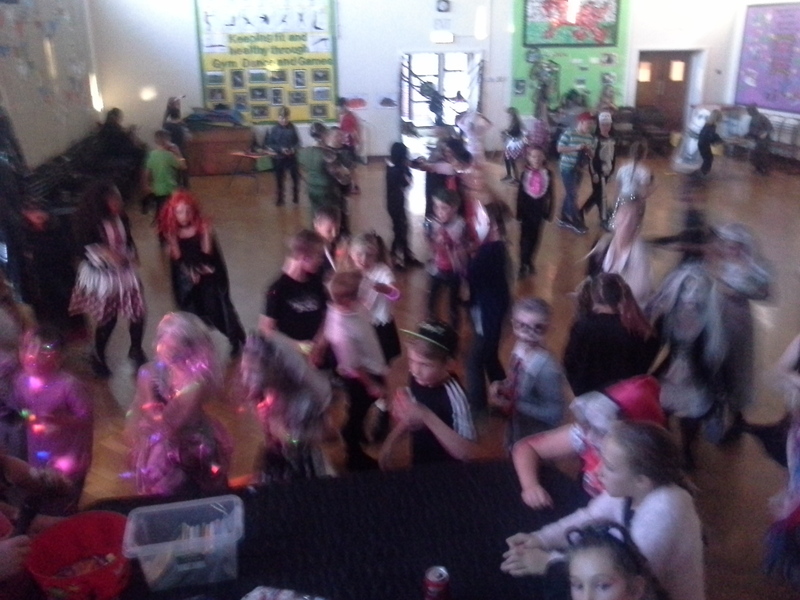 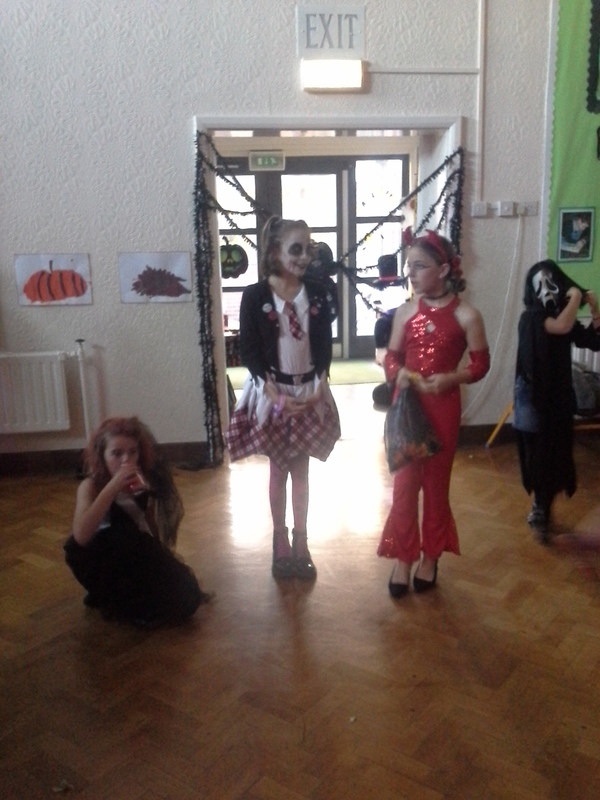 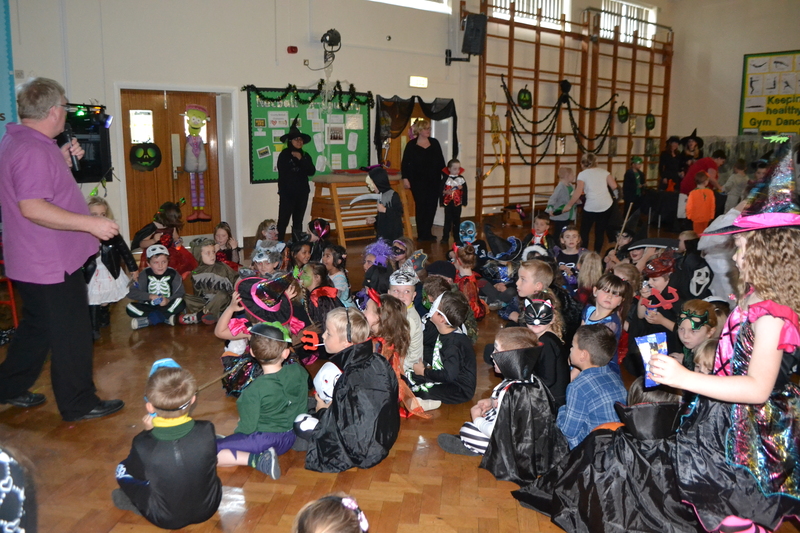 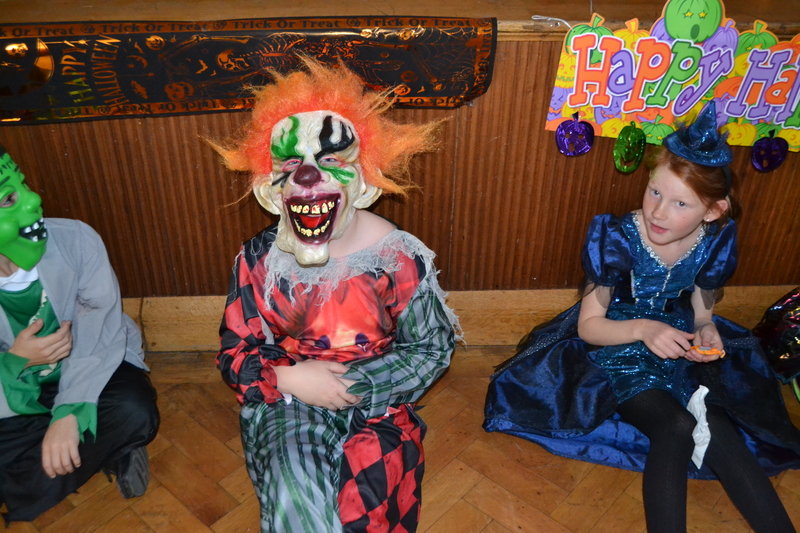 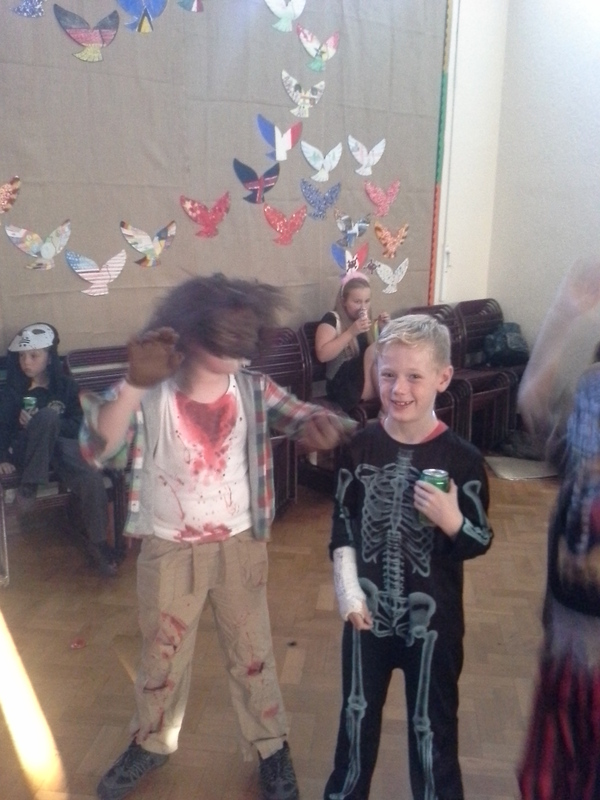 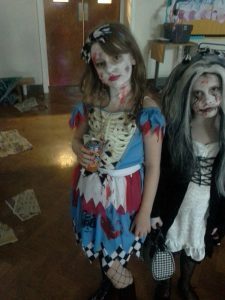 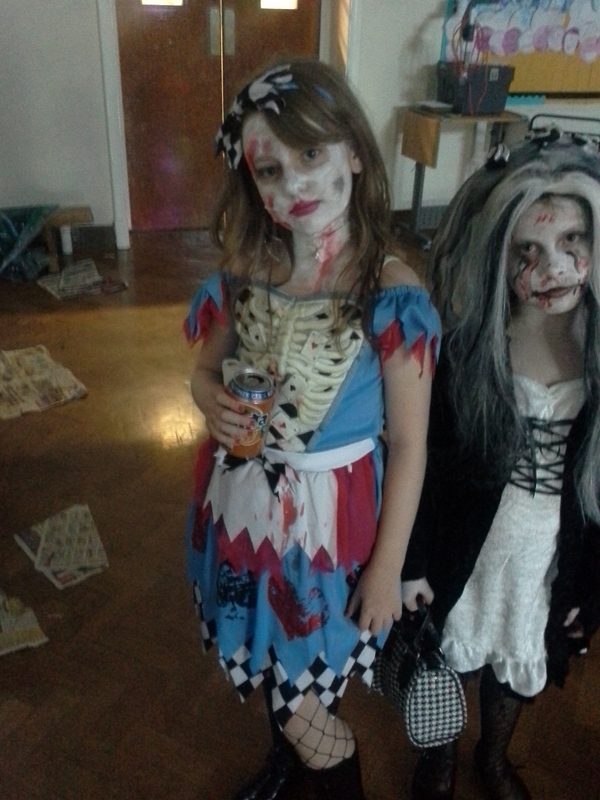 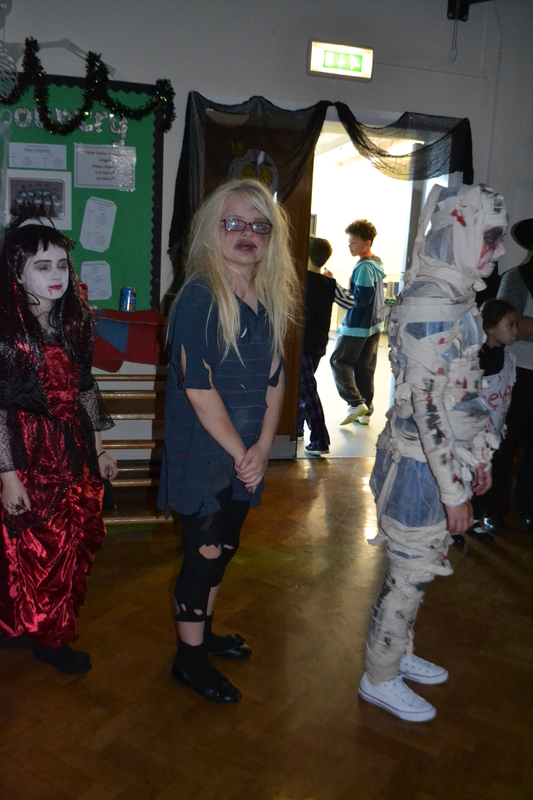 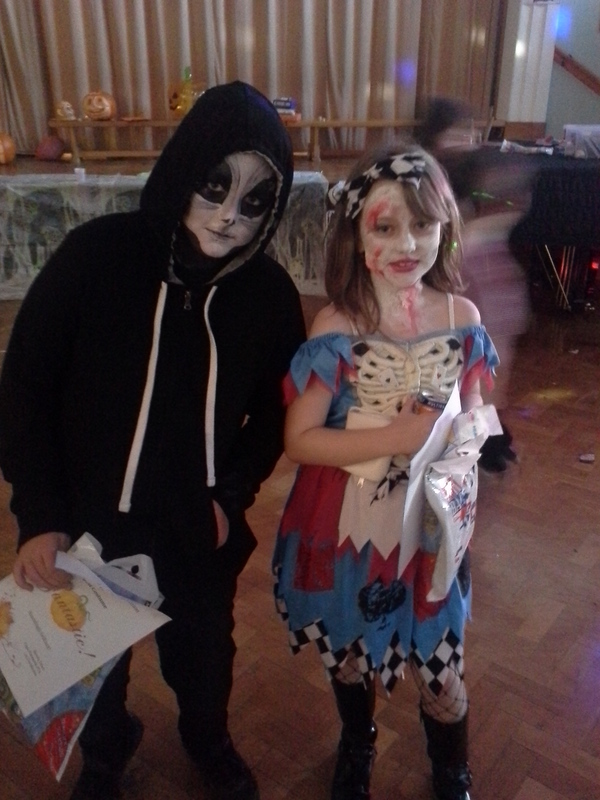 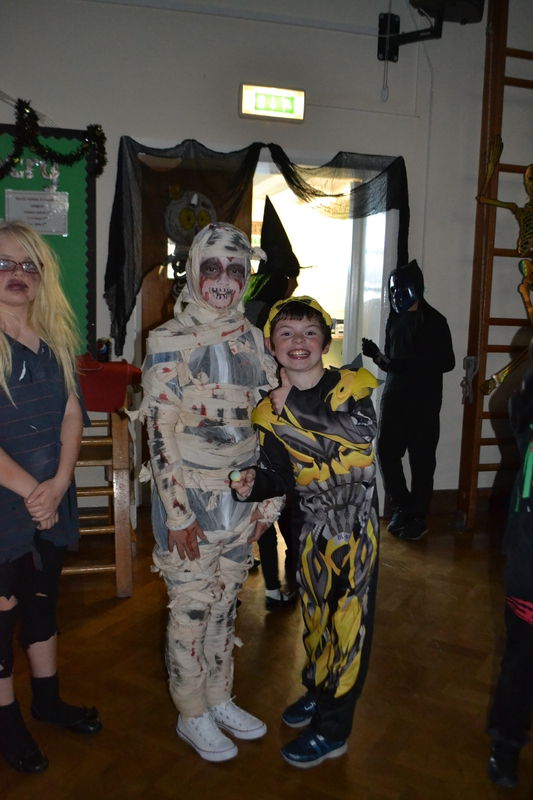 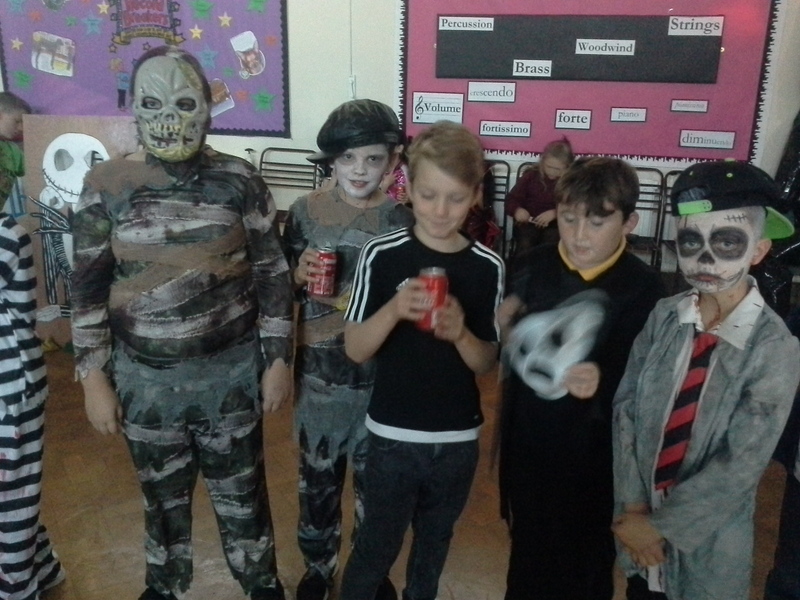 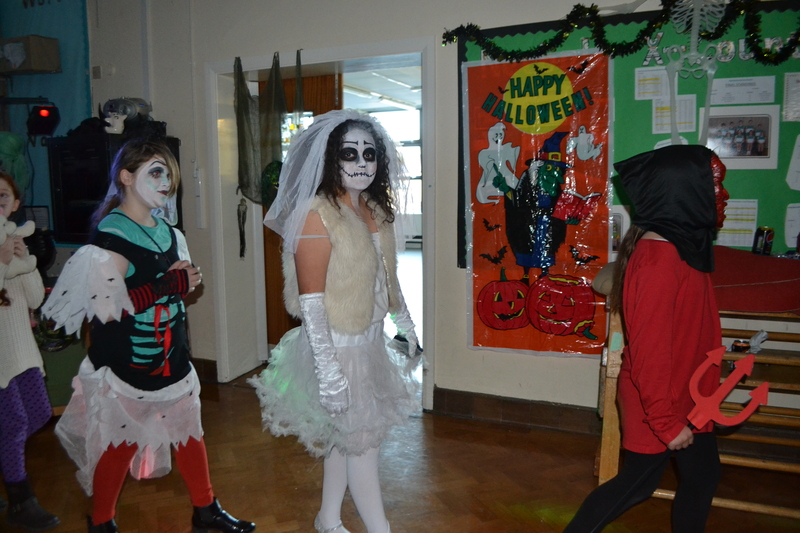 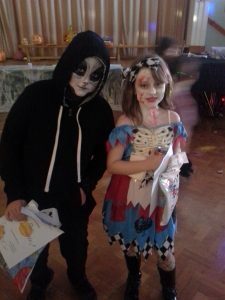 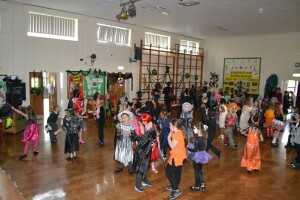 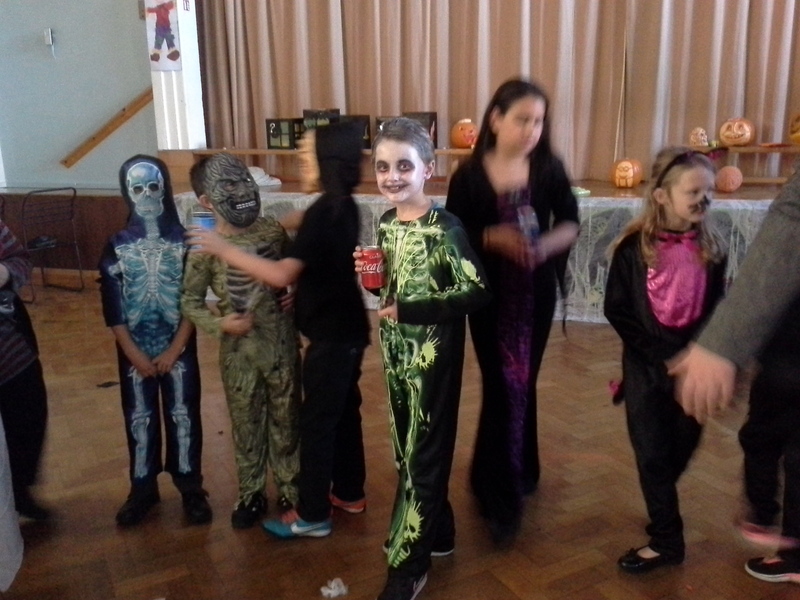 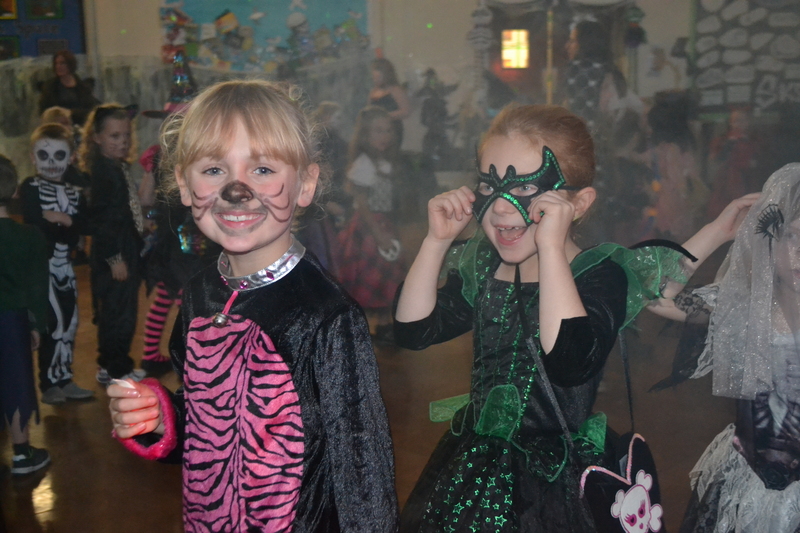 as did the Spooky Sweet Stall, where a variety of treats were on offer for the older classes. 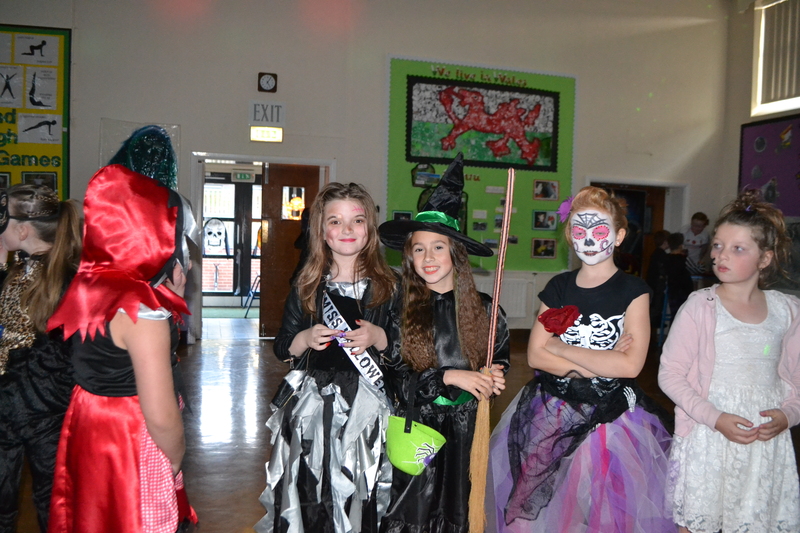 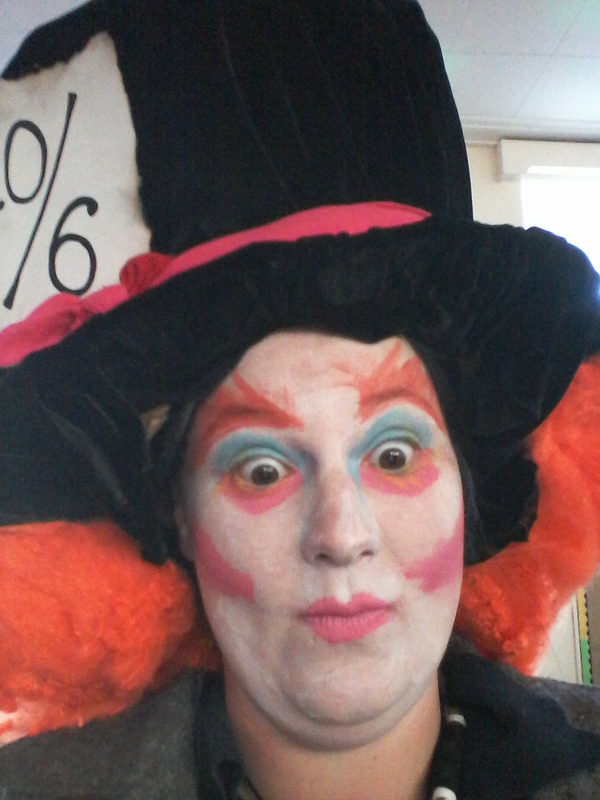 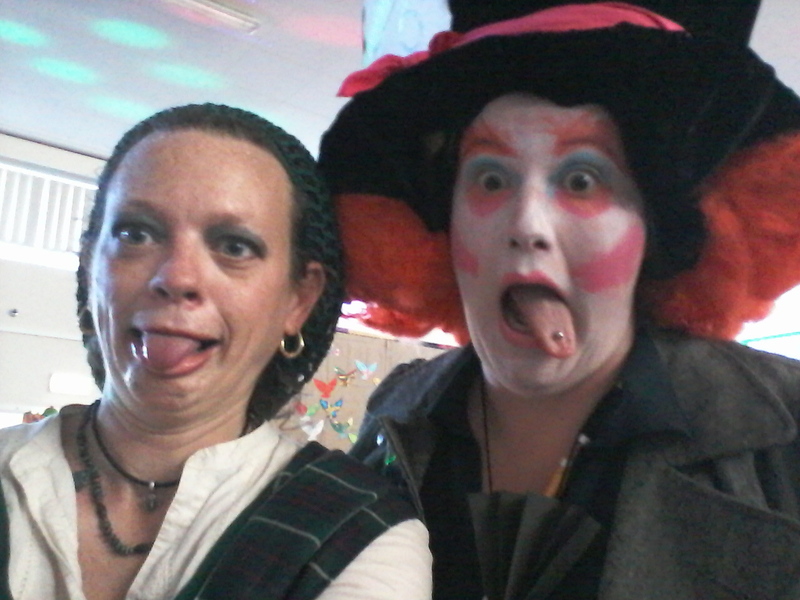 Year 5 and Year 6 judged entries for Staff Costumes, voting Mrs Mills’ Mad Hatter costume the best. 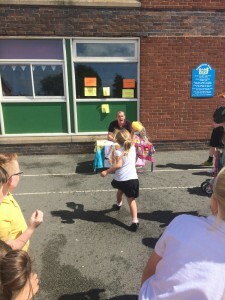 Together we raised an amazing £450.00! 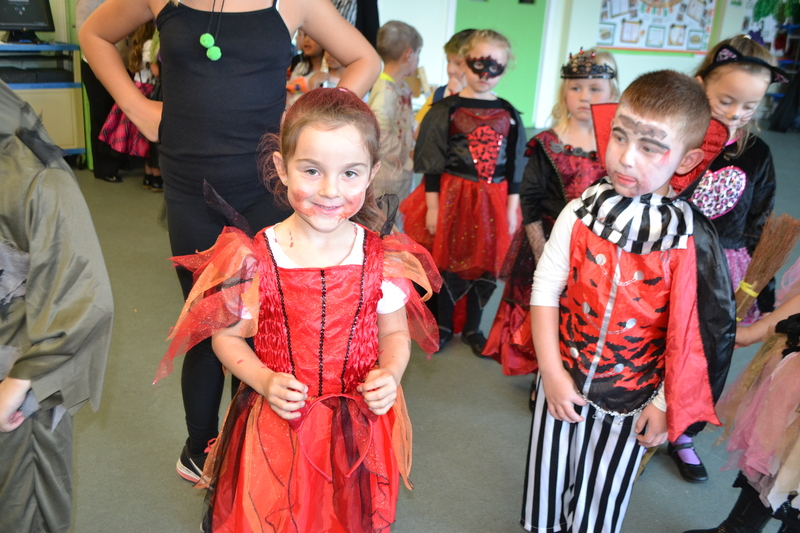 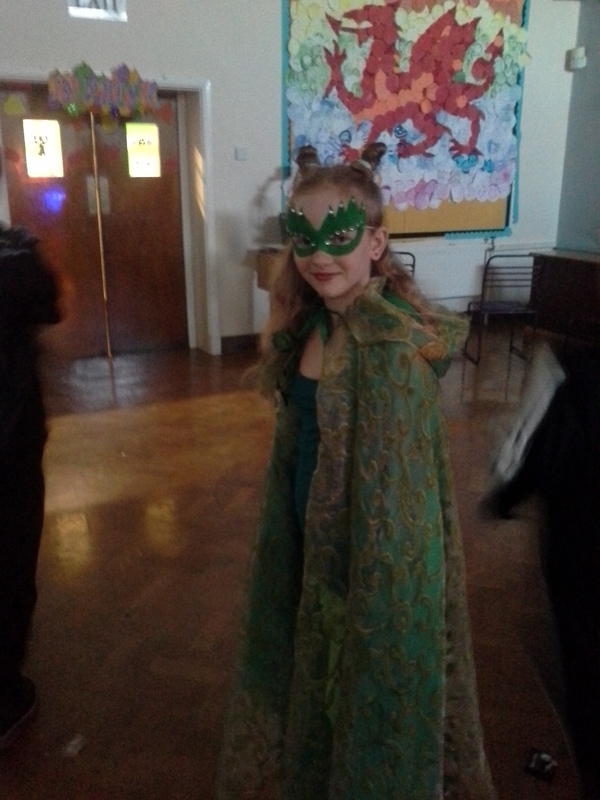 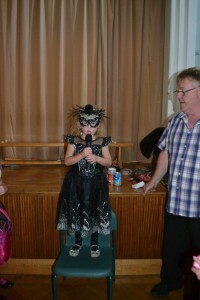 Take a look at some of our pictures…. 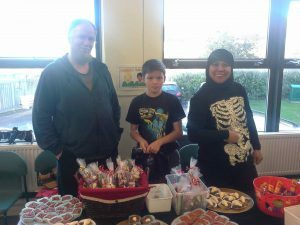 The PTA also organise the Macmillan Coffee Morning this year, which turned into more of a Coffee Day with a steady stream of visitors all day. 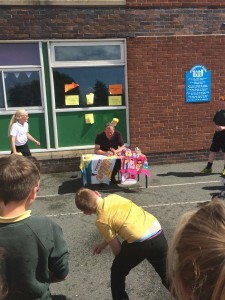 Two of our year 6 boys, Andrew and Alfie, helped out serving cakes, drumming up support and raising much needed funds for this brilliant charity. Thank you to everyone for donating to achieve such a huge amount. 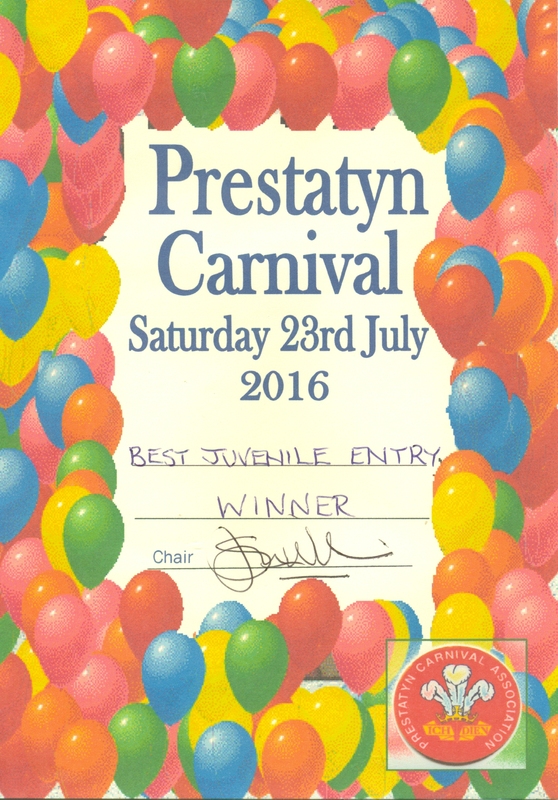 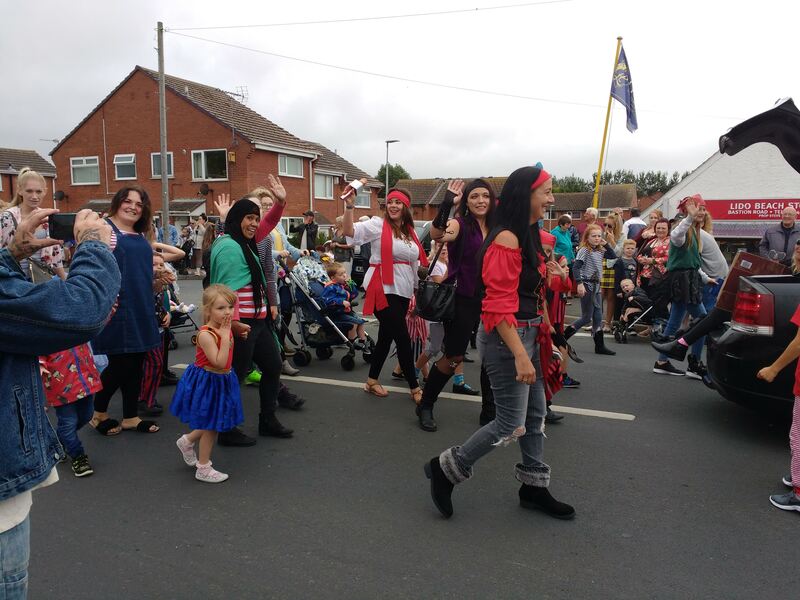 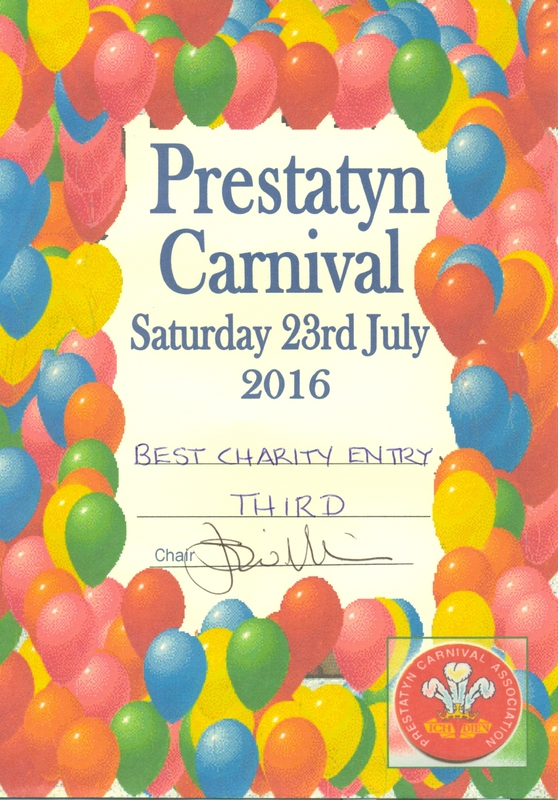 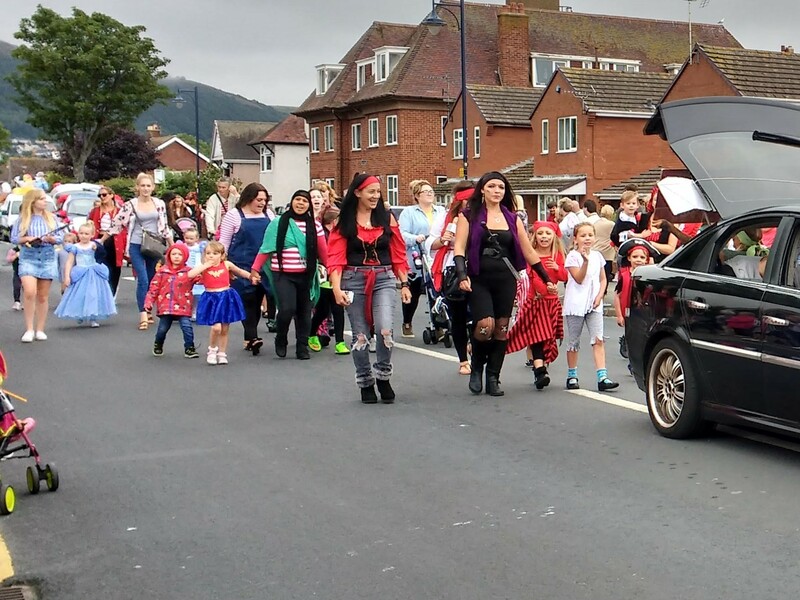 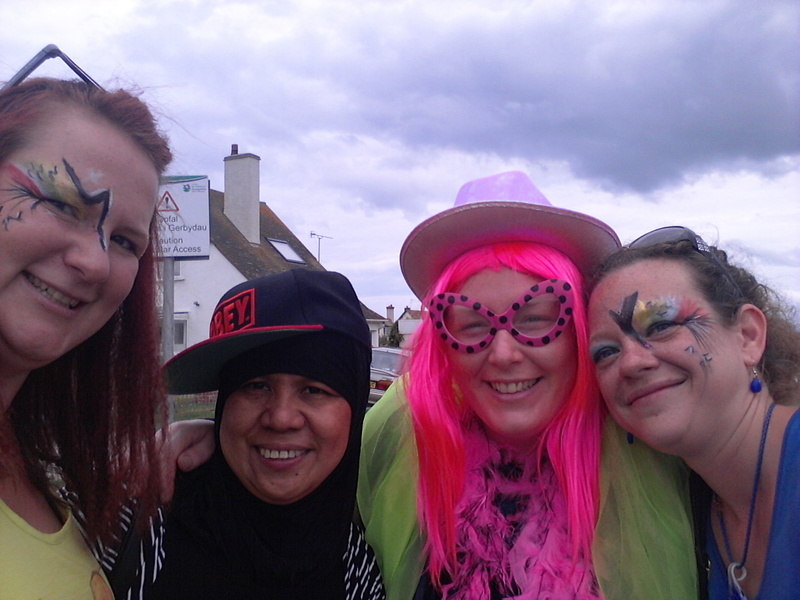 The PTA worked tirelessly preparing for the Prestatyn carnival parade this year and all of their hard work paid off. 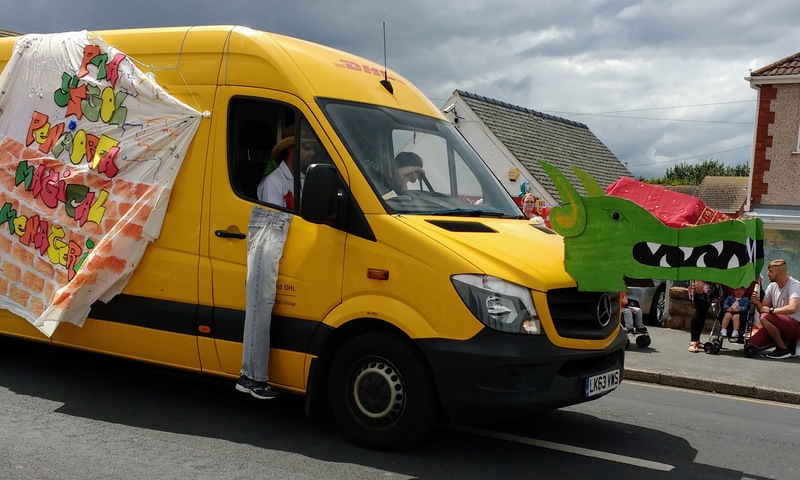 With a special thanks to DHL for the loan of their van and to all of the children and parents who either took part or helped to support us along the way. 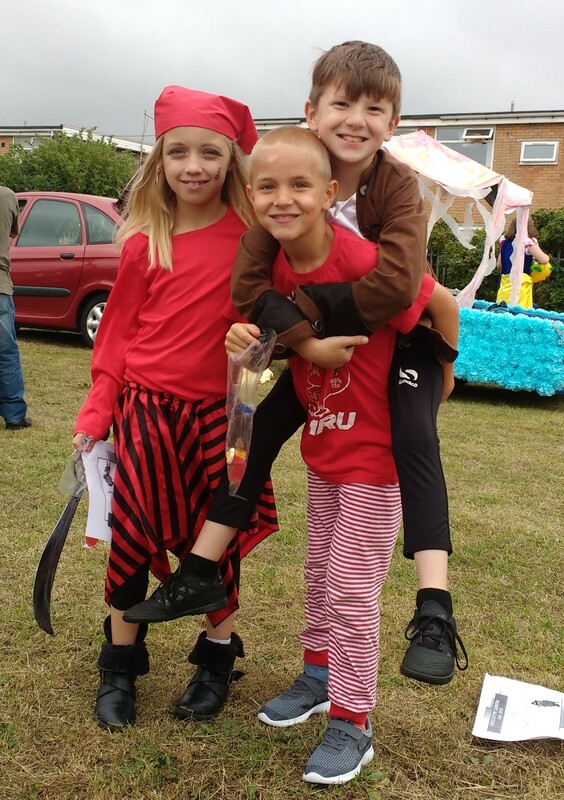 They achieved 3rd place in the Mayor’s Theme section and the Charity section but came 1st winning the Best Juvenile section and bringing back to school these certificates, some prize money and Shield to keep for the year. 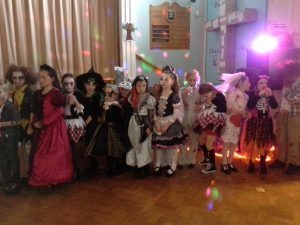 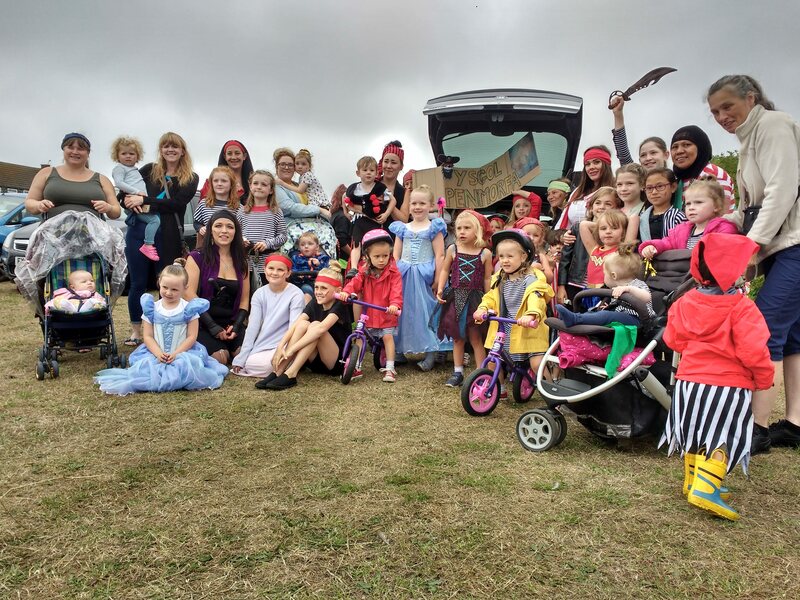 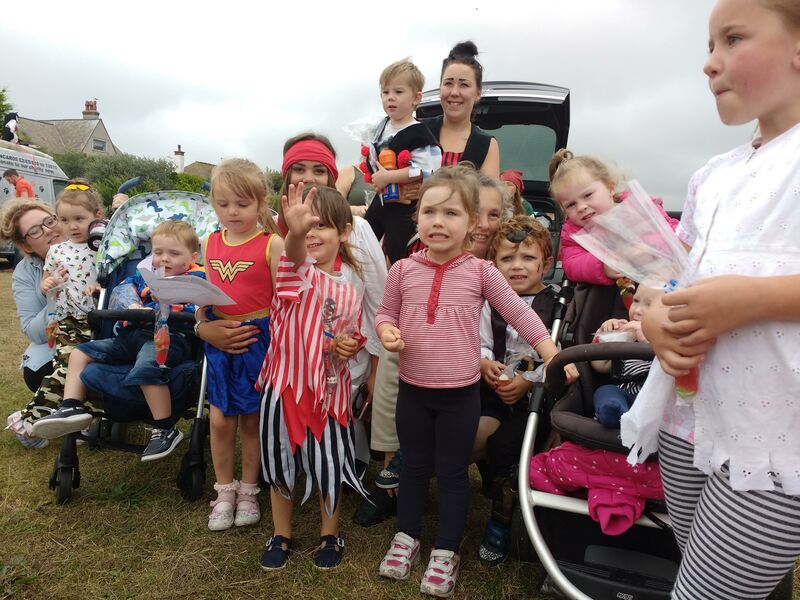 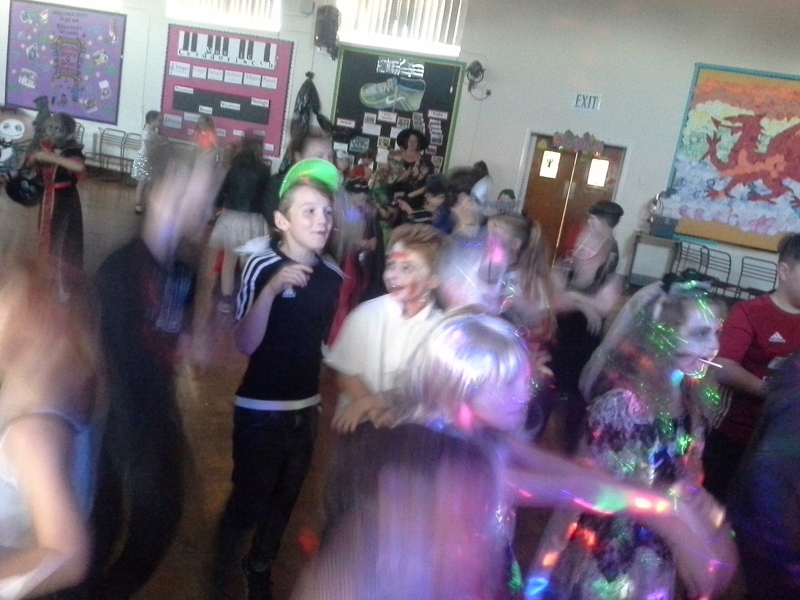 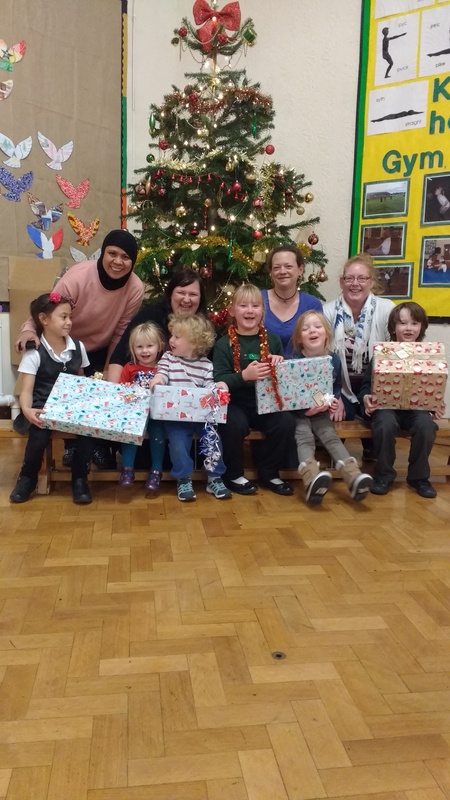 We are a group of parents, teachers, support staff, grandparents and friends of Ysgol Penmorfa who work together to fundraise and organise social events for the children after school such as discos, cake sales and Big Movie nights. We meet regularly for a coffee, a chat and talk about ways of raising funds and what fun activities we can organise for the children. 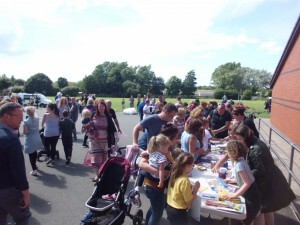 Please feel free to come along to any of our meetings, to put forward your ideas or just to have a coffee, a chat and meet some other parents. 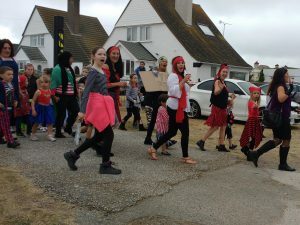 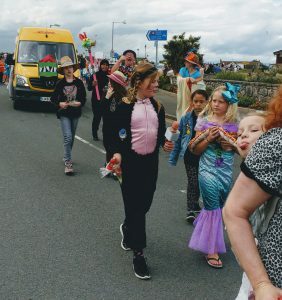 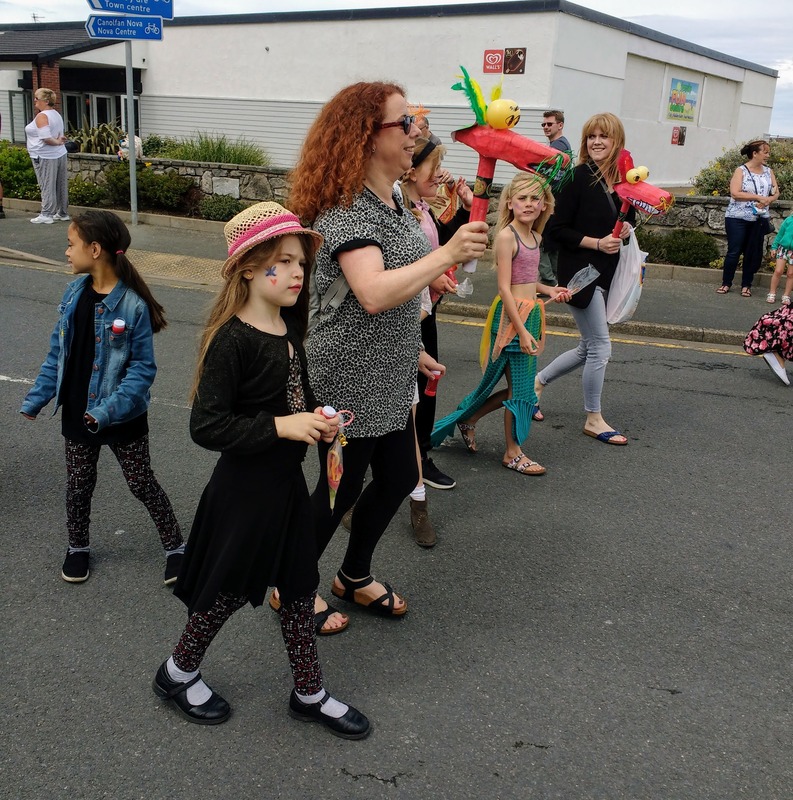 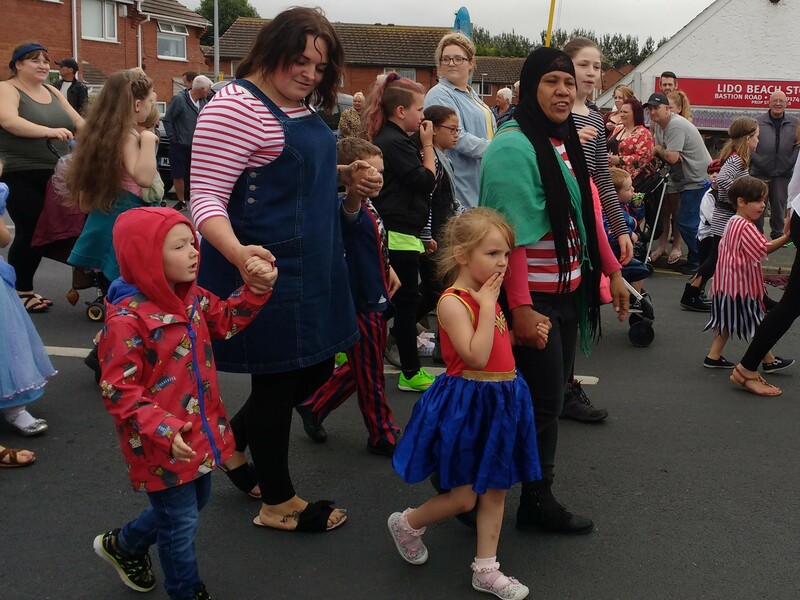 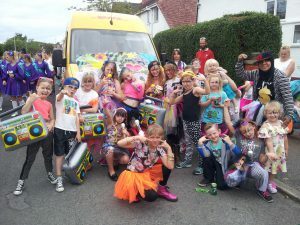 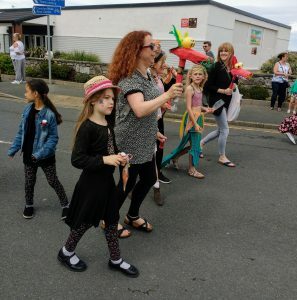 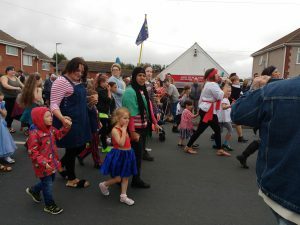 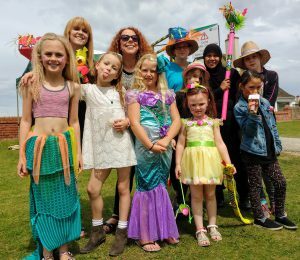 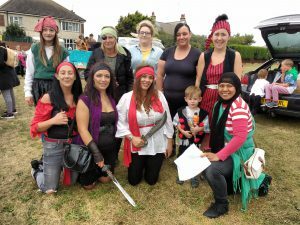 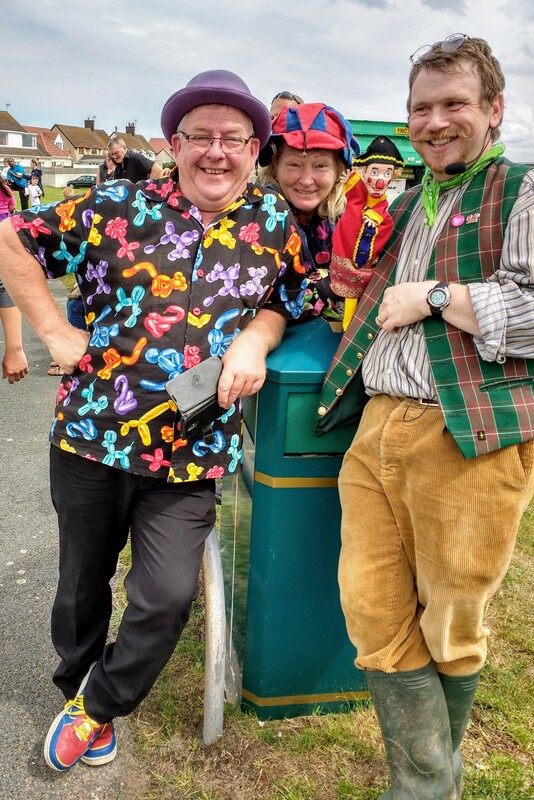 The PTA welcomes anyone who is interested in making Ysgol Penmorfa’s entry to this year’s Prestatyn Carnival fan-tabulous. Our theme is 1980s Rap Music and our After School Carnival Craft Club has been hard at work making costumes, props and banner for the event. Please come along and join the fun! 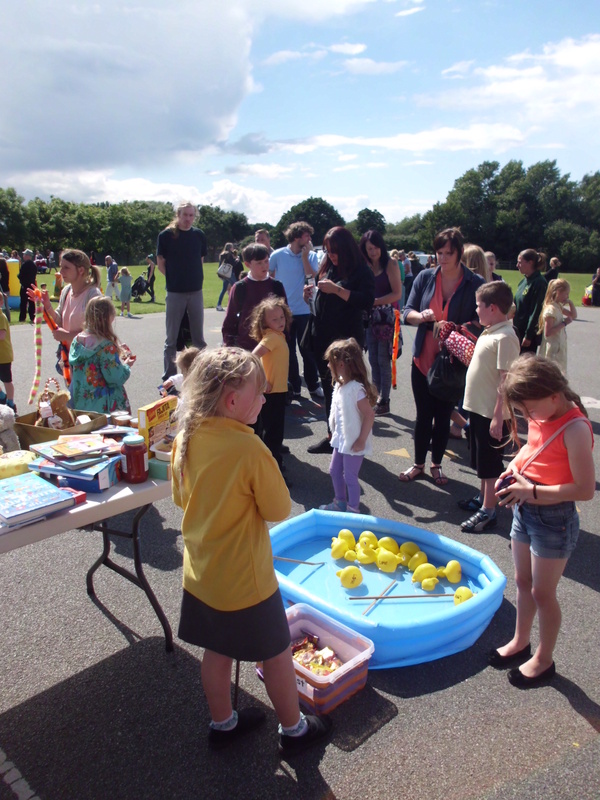 The Ysgol Penmorfa 2016 Summer Fair proved a big hit thanks to the dedicated efforts of everyone involved behind the scenes, from parents to teachers, canteen staff and Year 6 pupils (who hauled tables and boxes back and forth on the day as the weather dictated). 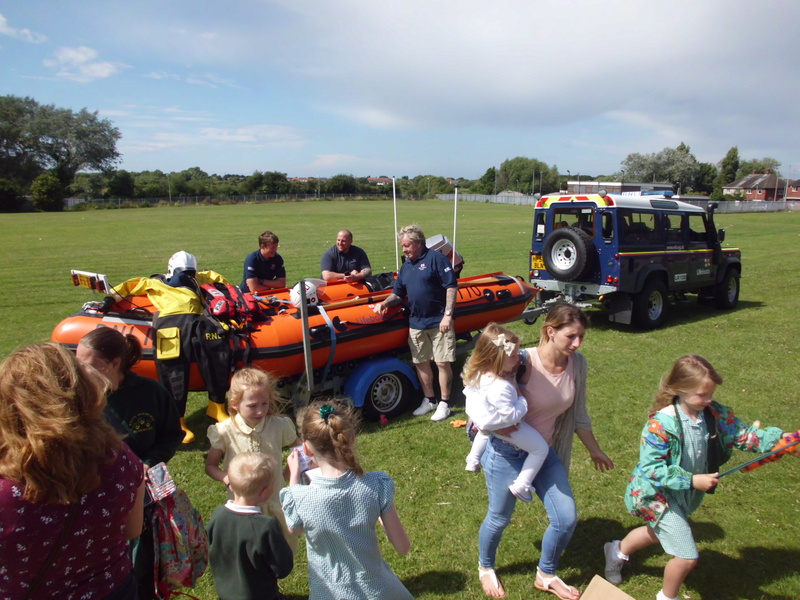 Special thanks go to the emergency services, RNLI, Police and Fire for attending as well as the many businesses who donated raffle prizes: Anglesey Sea Zoo, Liverpool Sightseeing Tours, Potrmeirion Village, Greenacres Animal Park, Tudor House, Bargain Booze, Tesco, Boots and So Sweet. 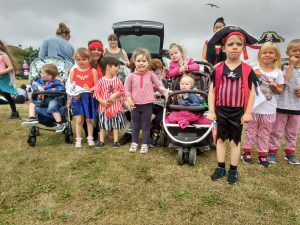 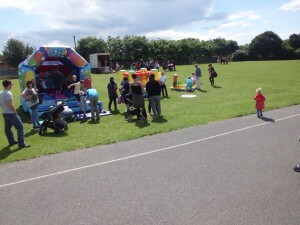 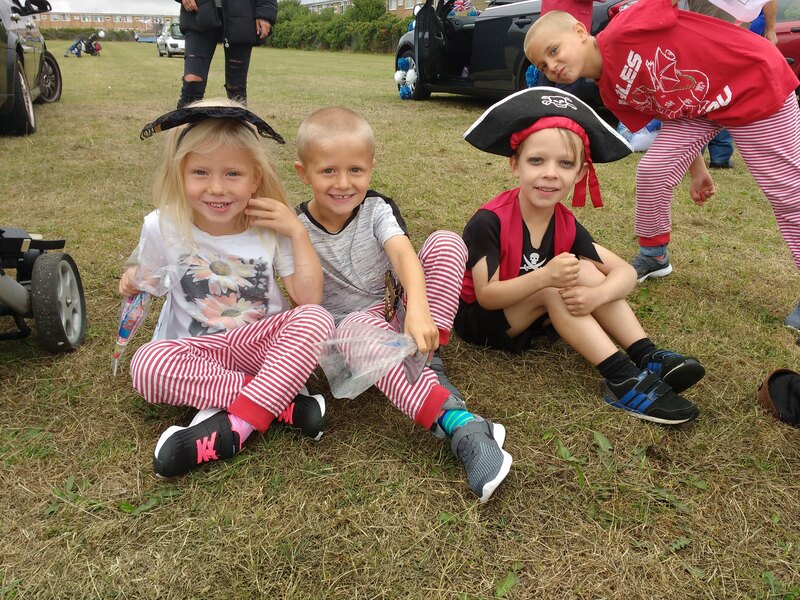 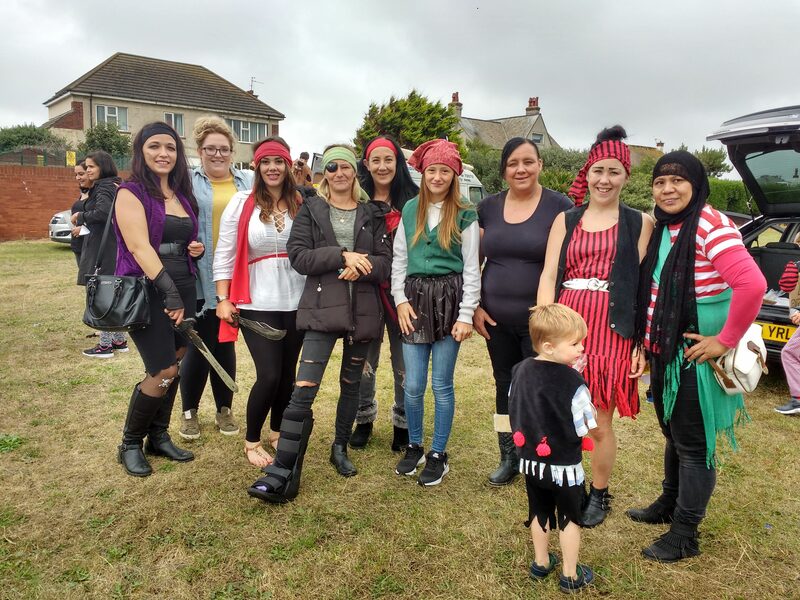 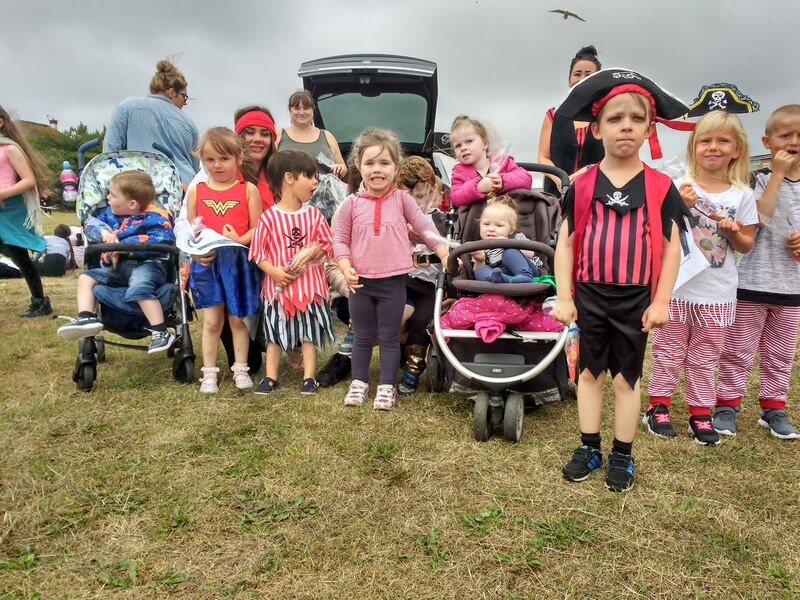 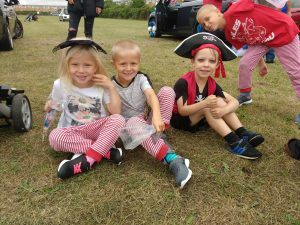 In addition to the bouncy castle, there was a Toddler-Friendly Zone, Donkey rides, Target Golf and Face-Painting, Bric-a-brac, Lucky Dip and the much anticipated Raffle featuring Cash prizes, Marks and Spencer Luxury packages and a Giant Stuffed Pink and Purple Gorilla! 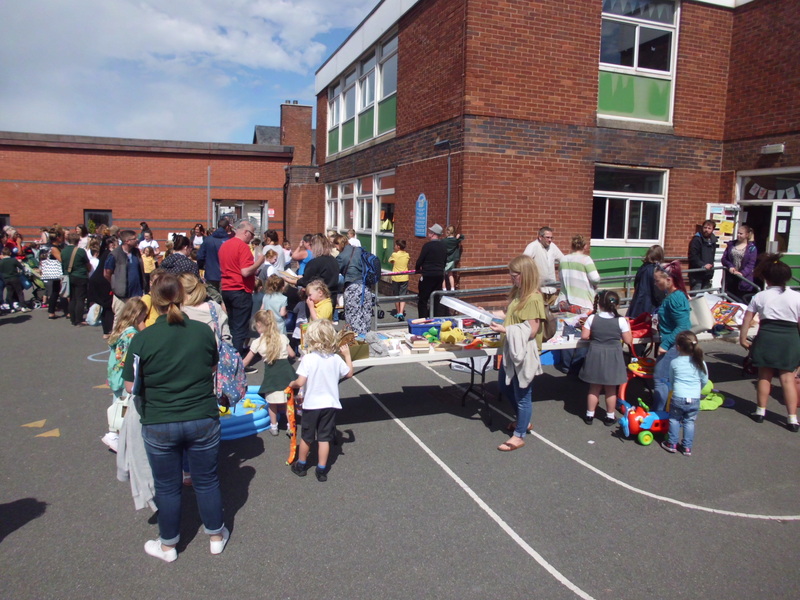 Despite a rocky start, the Arts and Crafts, Bath Goodies and Chocolate Tombola proved really popular, as did the food and drink provided by the canteen staff. 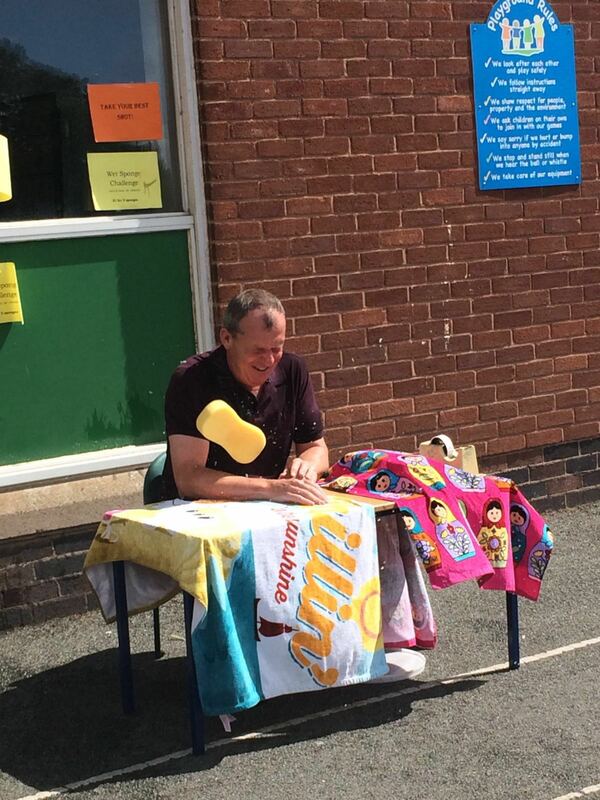 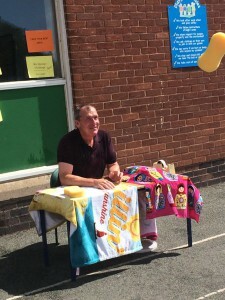 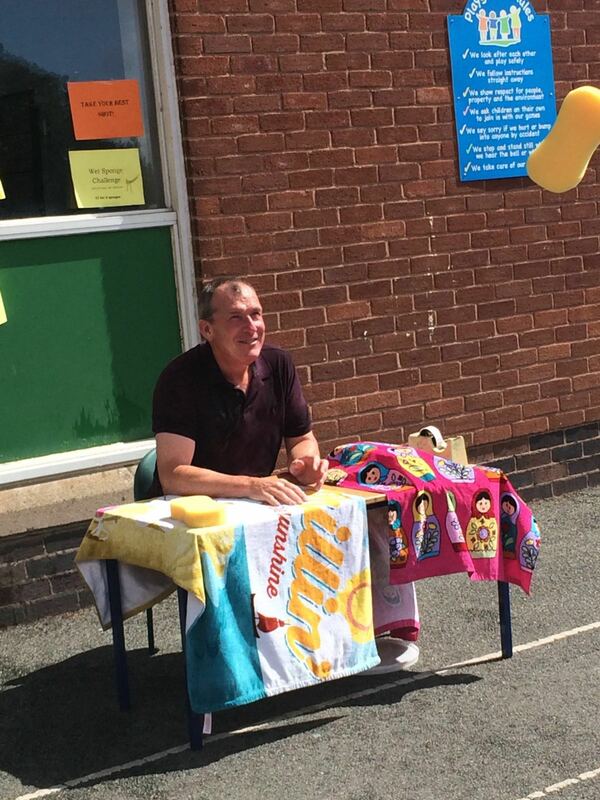 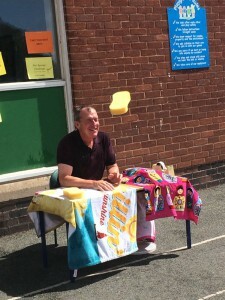 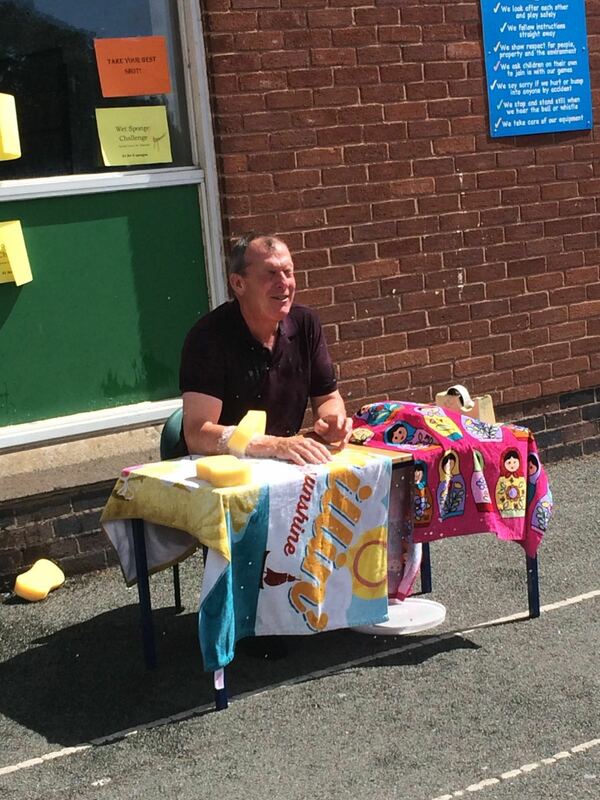 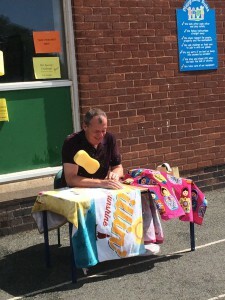 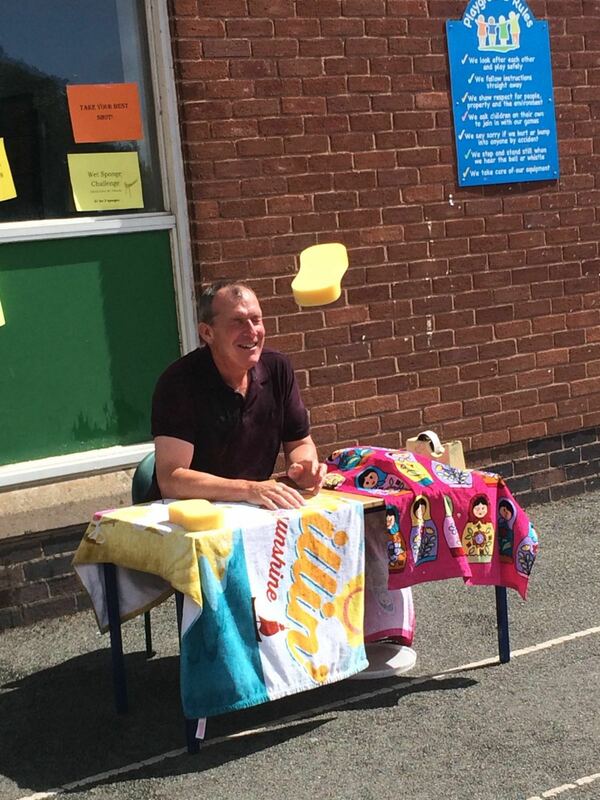 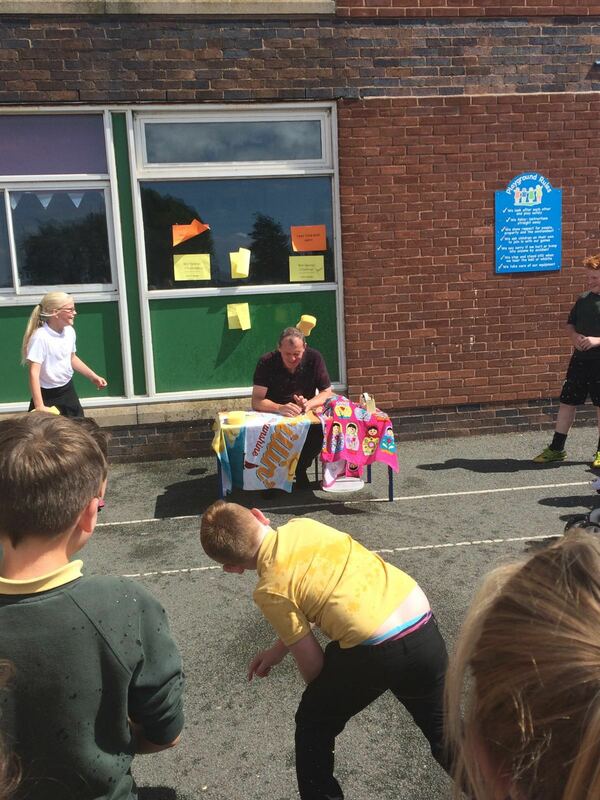 Without doubt the biggest attraction was the Wet Sponge Challenge featuring Special Guest Mr Edwards. 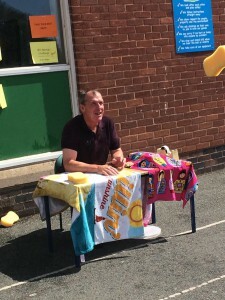 With Mr Beattie egging them on, the children queued to take a shot with the water-logged sponges at our much loved Headteacher. 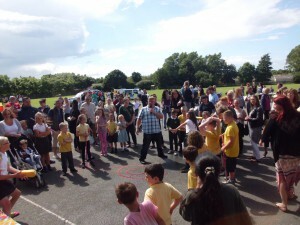 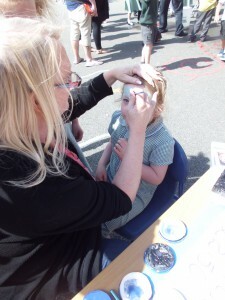 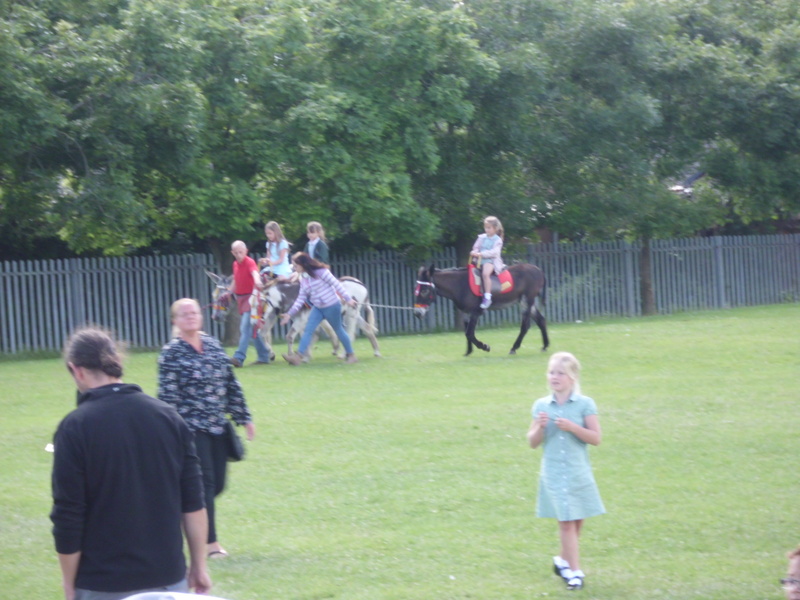 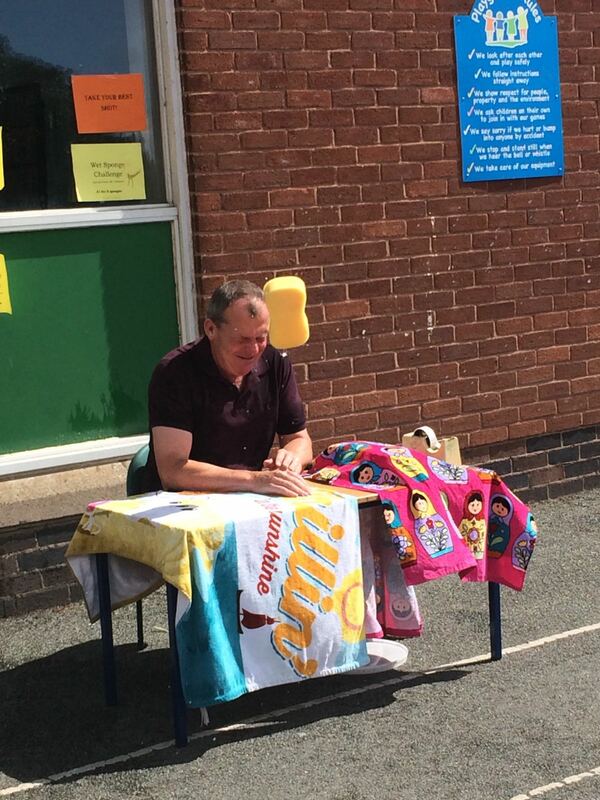 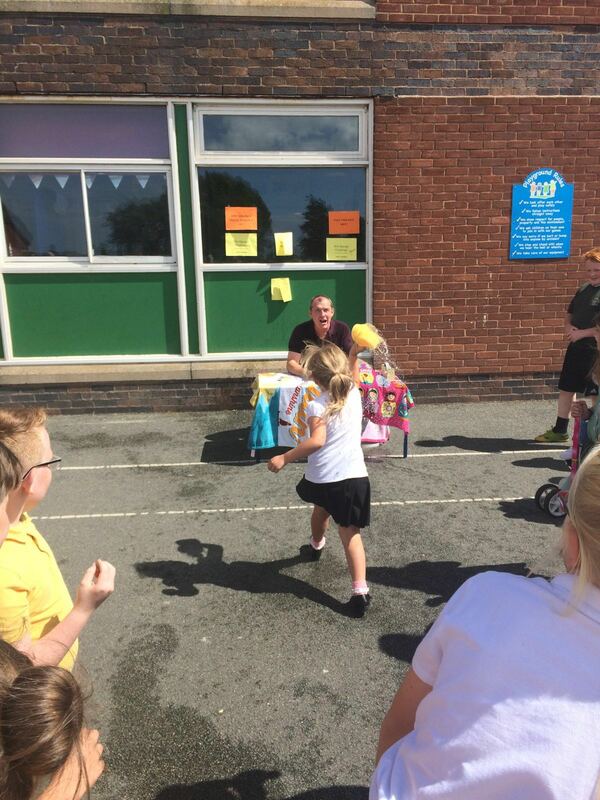 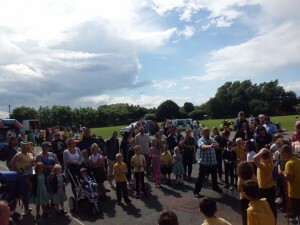 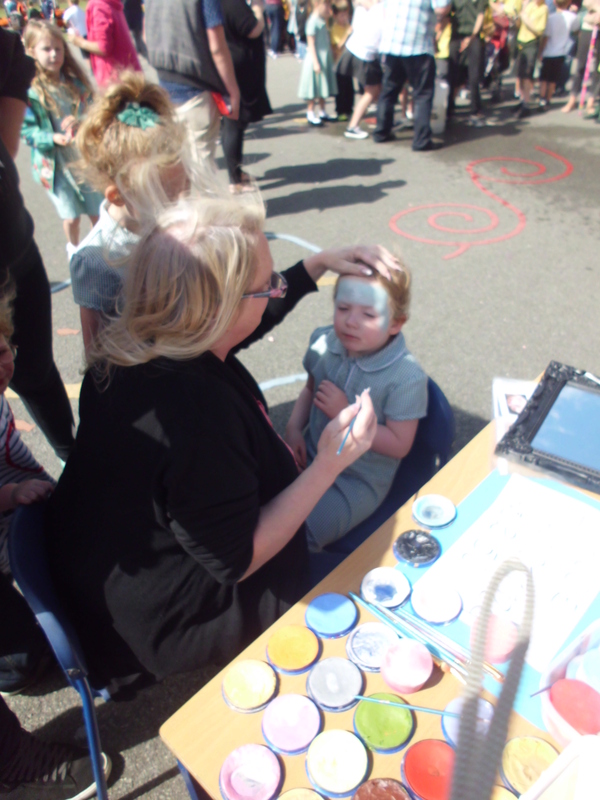 The Summer Fair raised a whopping £1300 which has been used to fund an electronic tablet for every classroom. 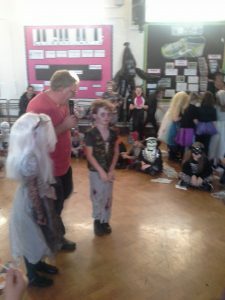 ICT is an area school would like to improve. Special thanks should go to Daniel and Robert from year 6 for their well-written appeal in support of this. 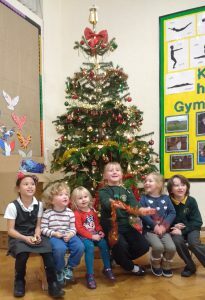 The Christmas Fair was a huge success and raised over £1200 for school. 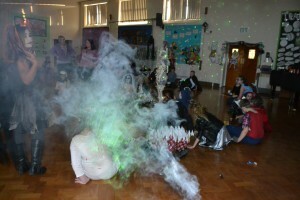 Our next venture will be to organise some events around half term then look forward to Easter activities. to everyone who either helped with or came along to our Christmas Fair. 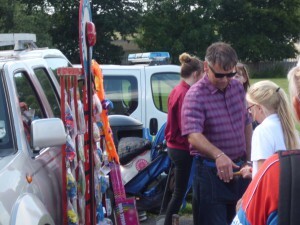 There were many stalls at the Fair and the atmosphere was really festive. 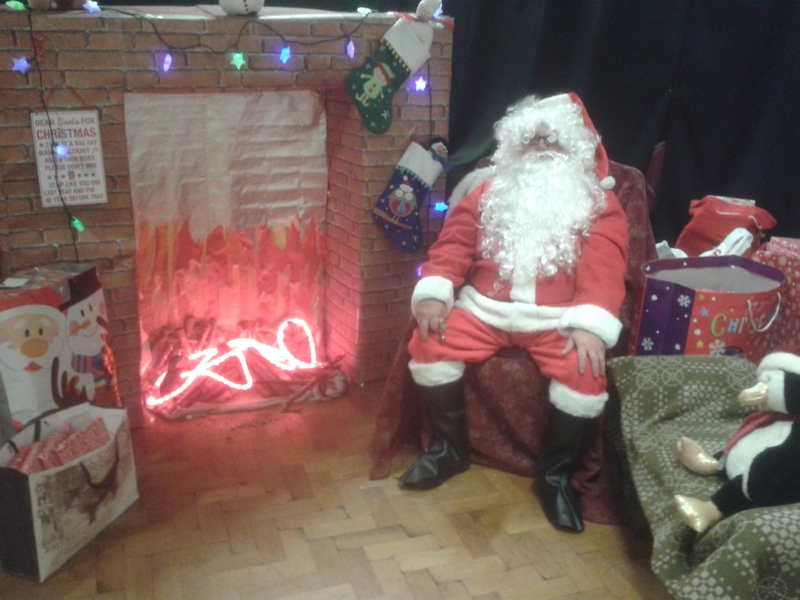 Father Christmas was here and many of the children were able to let him know their special wishes. 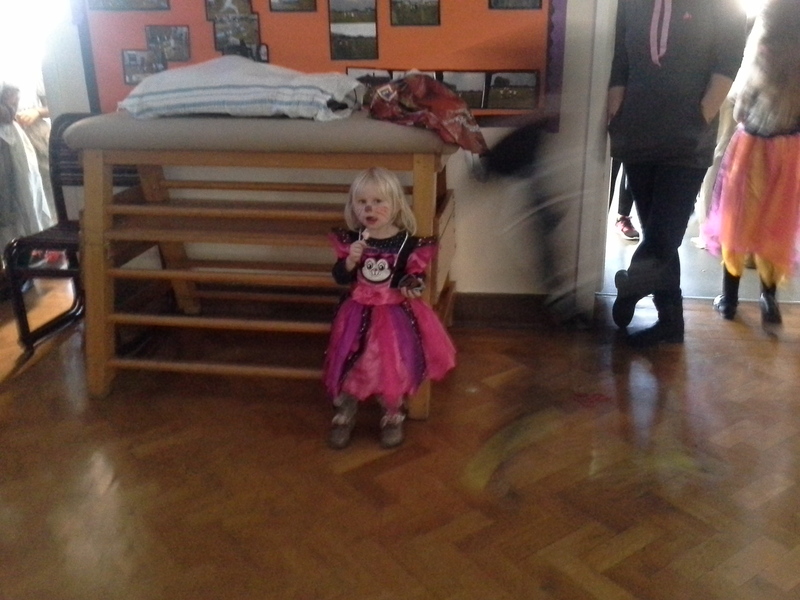 Tuesday 3rd November 2015 at 3.30pm. 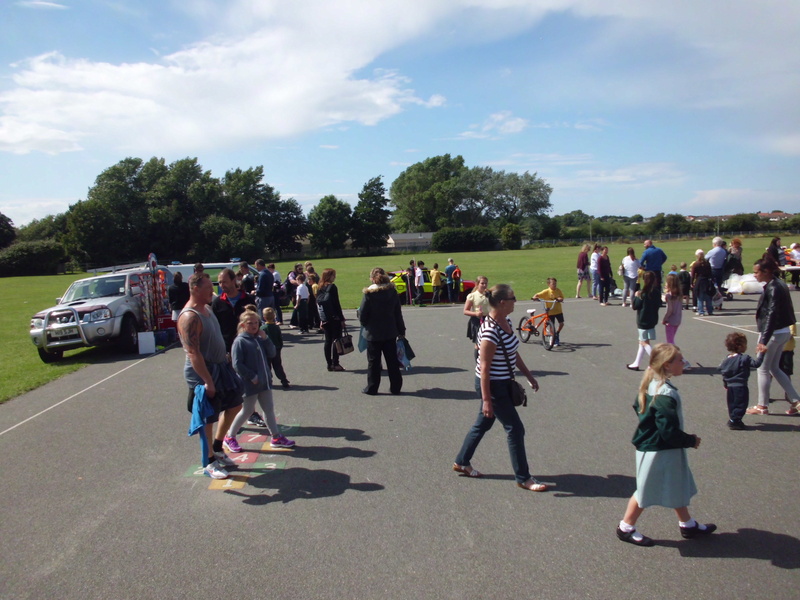 The next event being organised by the PTA is the Annual Christmas Fair which will be held on Friday 4th December 2015 at 3.30pm. There is a separate letter coming to you with more details for your child’s year group. 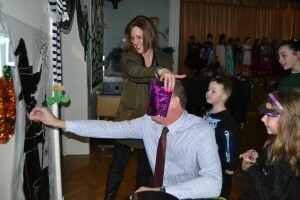 Raffle tickets are now on sale and the winners will be drawn during the Christmas Fair. 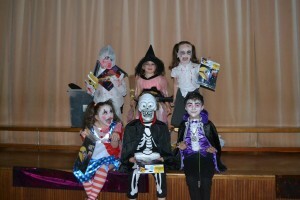 Each pupil has been given 2 books each to sell. 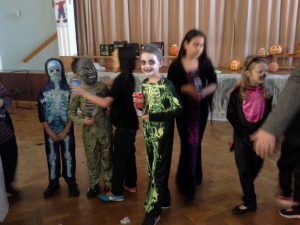 You are under no obligation to buy or sell these tickets but we would be grateful if any unsold tickets could be brought back to school. 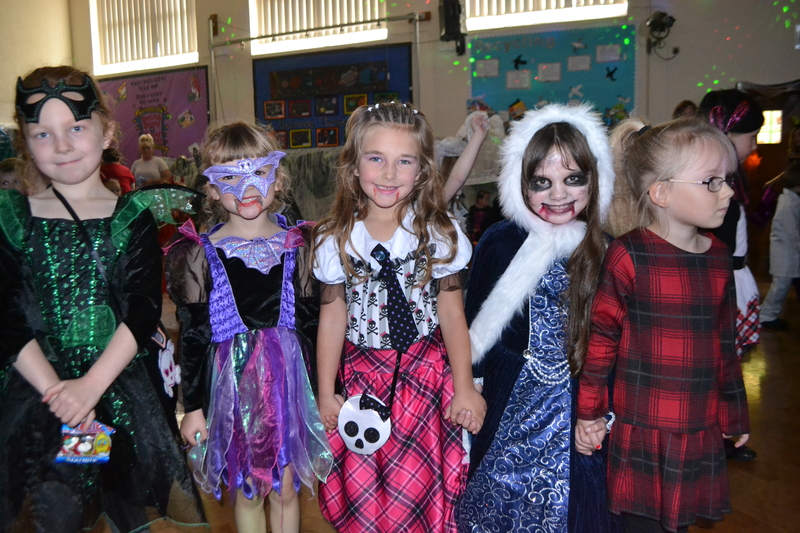 The Christmas Fair 2014 was a huge success and a massive thank you goes out to everyone who came along. We managed to raise over £1200 and have been offered a fund raising match from Barclays bank which will bring the total to almost £2500. 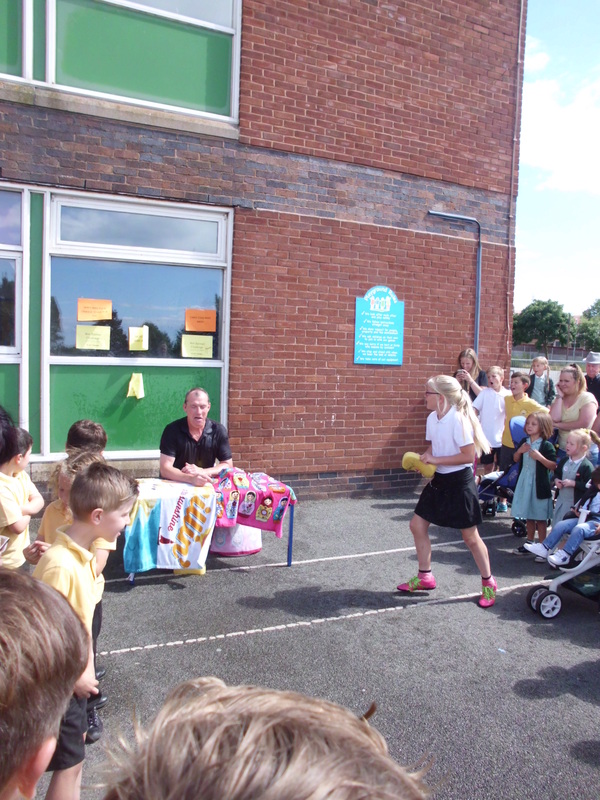 This money will be used to benefit all of pupils in some way and more details will follow once we have them. 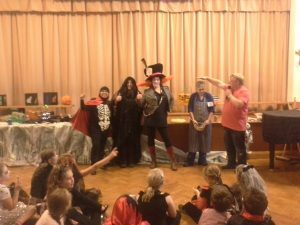 There will also be an Auction of items during the Fayre including tickets and vouchers and lots of other Christmas goodies. 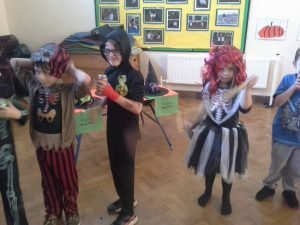 We played Pitch the Witch, and played lots of games and the costumes were great. 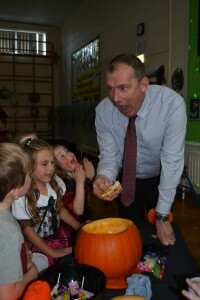 Mr Edwards had a fright when he found some bones in the pumpkin! 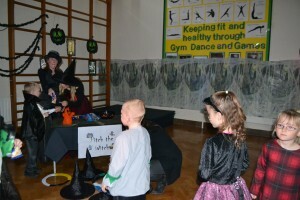 and couldn’t quite find the right place to pin the nose onto the Witch! 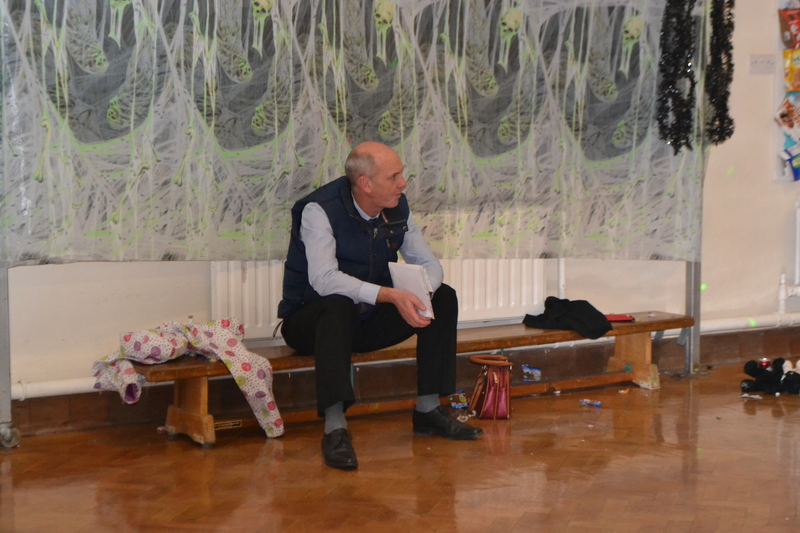 It was all too much for Mr Grant! 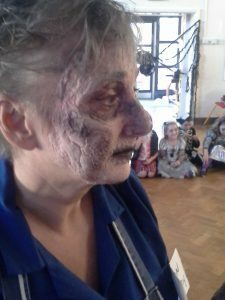 Thank you for visiting our webpage please check regularly for dates and times of our next meeting and all our up and coming events! The next big PTA event will be the Easter discos for key stage 2 followed by the Summer Fair in May. 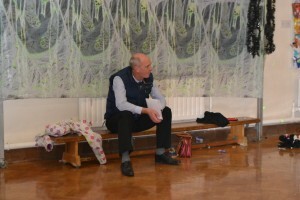 We will meet to discuss it in more detail in the new year.